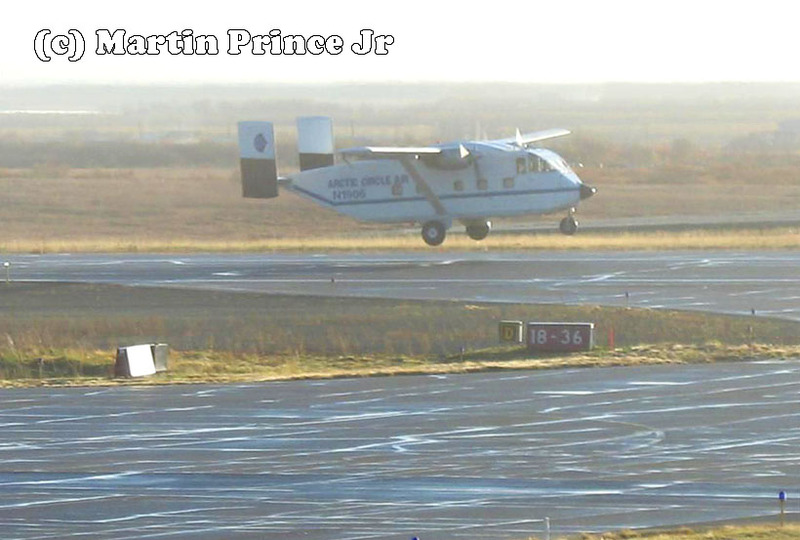 Martin 'Joe Joe' Prince Jr lives in Bethel,AK and in 2006 he started to send me some photos for use on my website. 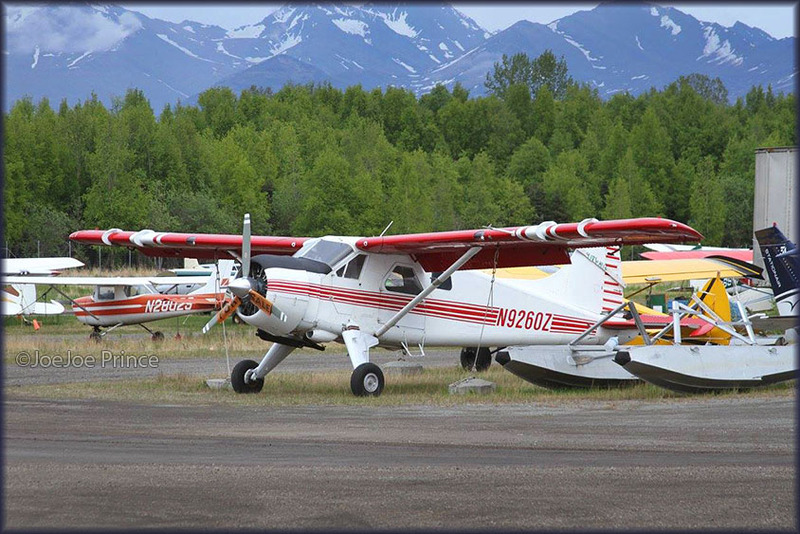 Since they also an offer an insight in the planes that visit such a remote community in Alaska, I like to share them here for other propliner enthusiasts to enjoy. "I live in Bethel, Alaska (about 400 miles west of Anchorage). Here are some pictures of mine, mainly taken here at Bethel. 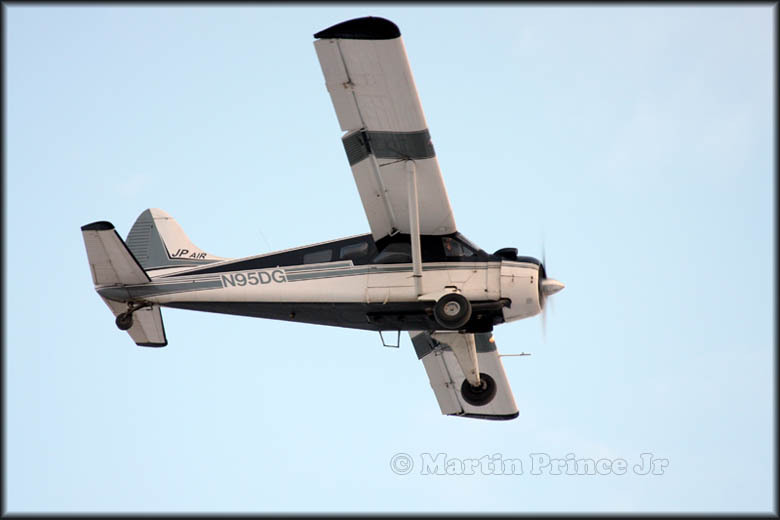 I was looking at your website and saw some planes in there that I had photographed and thought you might like!" "They moved this Boxcar to the southside ramp"
ramp expansion in 2018. It sat approx. 10 yards from my office and I was there the day it was moved. 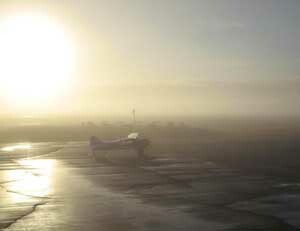 where it may, one day, be on static display here in Anchorage." Air had it for sale) but cancelled from ALTA in 11Jan2018 (per 'FAA Inquiry'). Parked at ANC South Ramp, noted April 2013. Rumours had it that N19906 was now owned by the Air Museum here. A report, dated 15Jun16, reached me that 'none-oh-six' was noted with a damaged tail, sans titles and engines removed. JoeJoe Prince posted this photo and wrote "They moved the old Fish & Wildlife Beaver inside Ted Stevens International Airport Terminal in Anchorage, Alaska." • The strangest looking Beaver ever ? 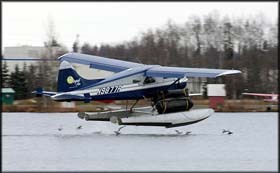 • Photographed again in May 2000 at Lake Hood,AK with small change in paint scheme. JoeJoe Prince on the prowl again around Lake Hood (May 2017)! 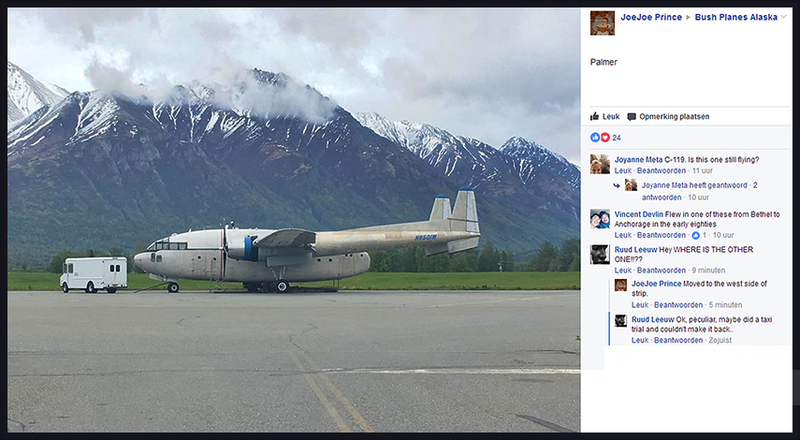 his Facebook page 'Bush Planes Alaska'! The history of N78691 is a few pics down on this page here. 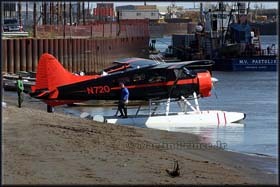 Here's another one, May 19th I think (late in the day); N774AE hasn't been in Alaska for long. of Nashville (TN), but based at Pedro Bay in Alaska, AK. Regd 02-May-2014. It's AoC was issued May 16th. JoeJoe wrote on 07Mar17: "A couple days ago in Bethel Alaska, hauling diesel to Pilot Station." 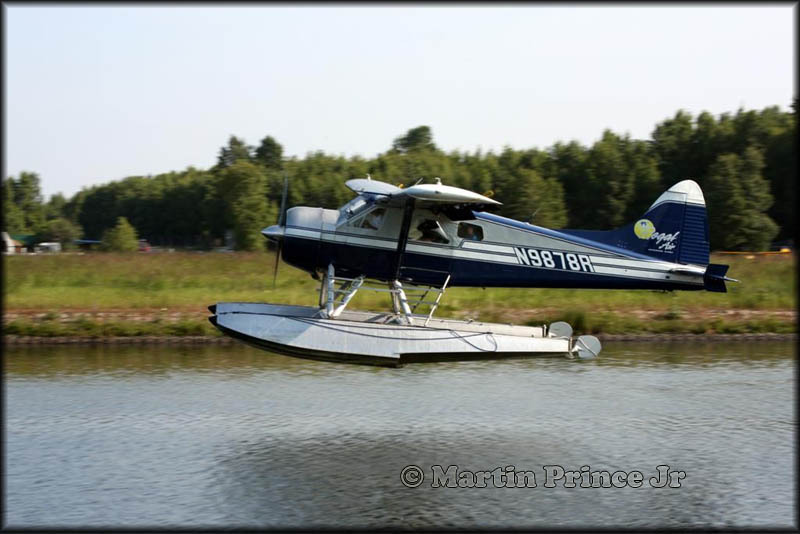 Martin 'JoeJoe' Prince Jr shared this Noorduyn Norseman in Sep.2016. 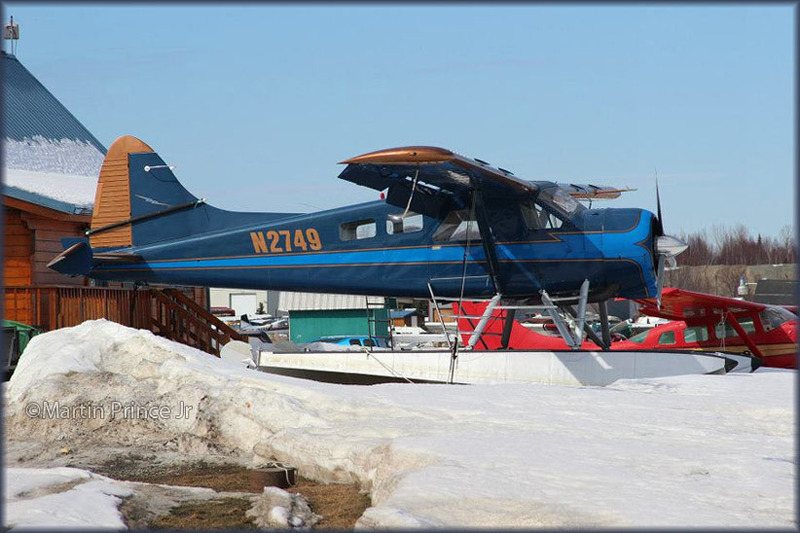 JoeJoe wrote:"The owner of DHC-2 Beaver N77KZ also has a Norseman in Bethel!" See HERE..
My files show N78691 was previously owned by N78691 Forrest L. Klies of Basin,MT (Reg'd 17Oct01). This fabulous bushplane was manufactured in 1944, designed by Robert Noorduyn who originated from the Netherlands. 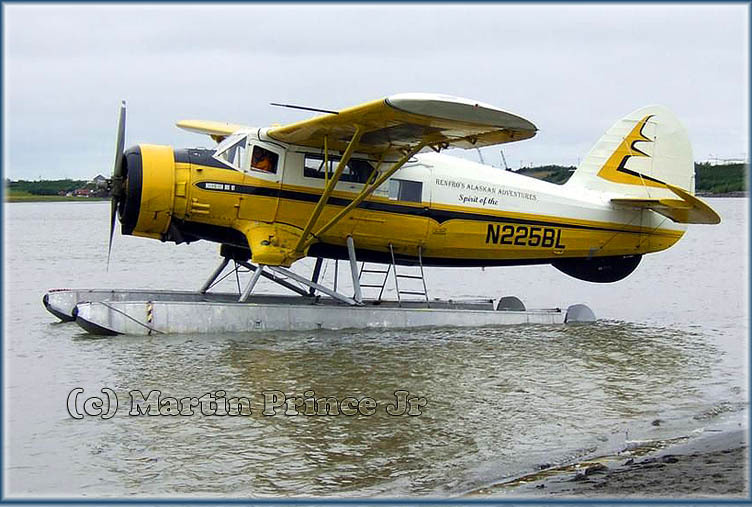 Martin 'JoeJoe' Prince Jr published this fine image of deHavilland DHC-2 N39303 (c/n 1221) on Facebook's 'Bush Planes Alaska'. 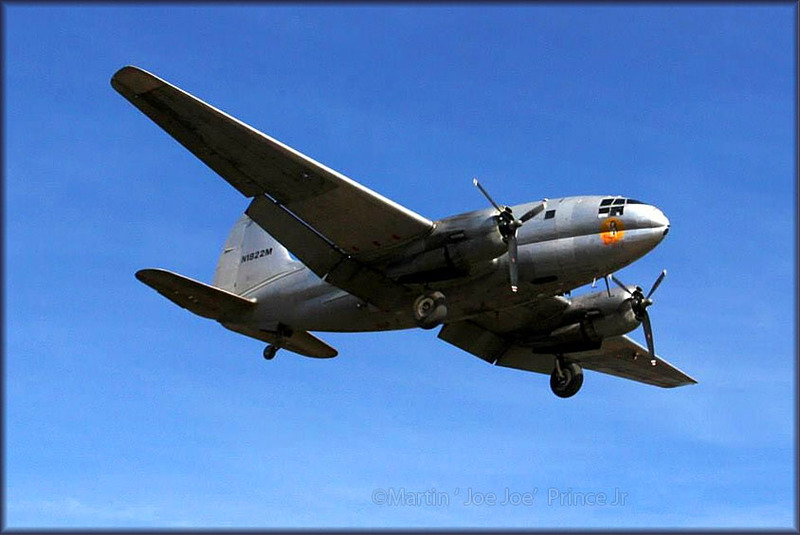 N343WB (DHC-2 c/n 1644), on wheels. 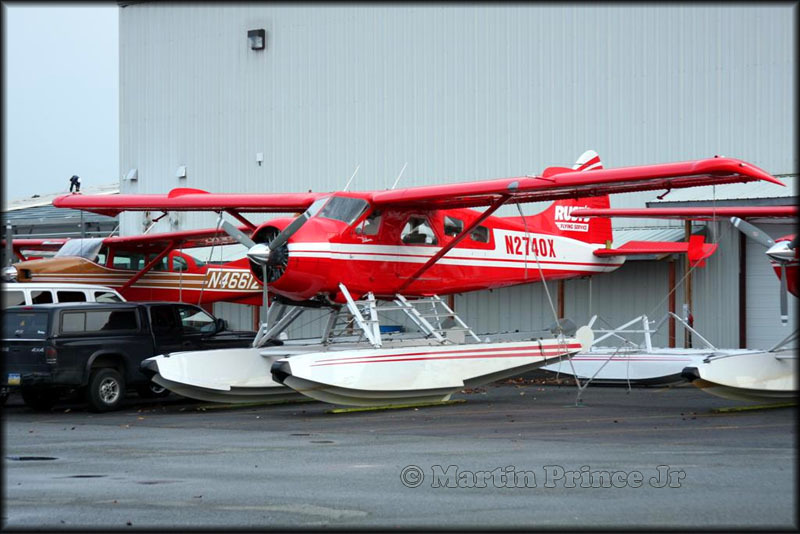 N343WB was registered on 25Jul14 to Sportsman Leasing LLC here at Anchorage,AK. 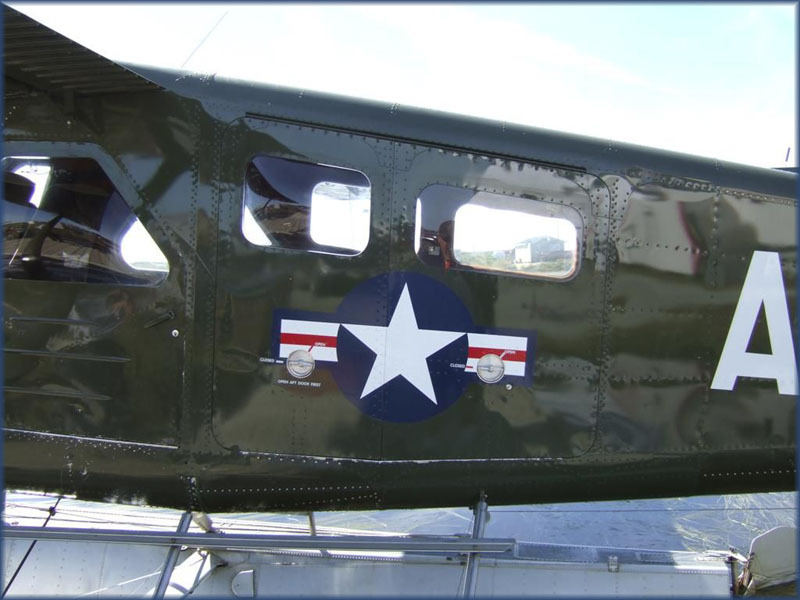 This DHC-2 (c/n ..) was registered to Brown Helicopter Inc on 01Jul2014. That firm is reg's Pensacola, Florida! 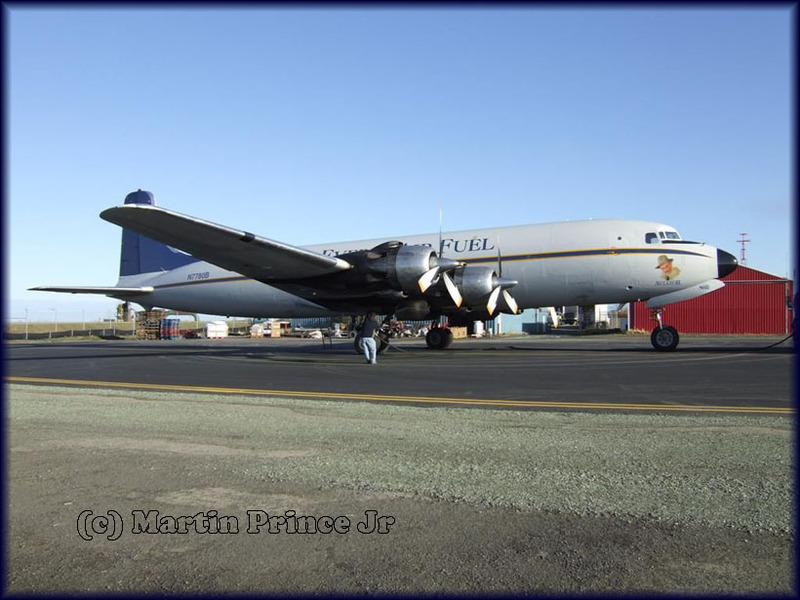 May 2014 saw Joe Joe driving along Palmer and noticed the recent 'new guys on the block', Alaska Air Fuel, and some airtanker reinforcements from Alberta; he was able to record C-GFSK. Kenneth Swartz explained to me (Aug.2017): "All the Government of Saskatchewan CL-215s converted to CL-215T's were modified by Cascade Aerospace of Abbotsford, BC - which was originally established as a sister MRO company of Conair Aviation and later sold to IMP Group of Halifax. 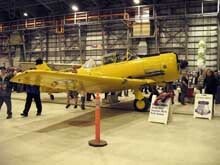 Cascade also did the CL-215 conversions for the Government of Alberta. Some of the CL-215T conversions for Spain were done in Toronto by de Havilland Canada (after its purchase by Bombardier in 1992) and others by contractors in Quebec and perhaps others. Only later CL-215s, built after the mid-1980s, can be converted to CL-215T's. 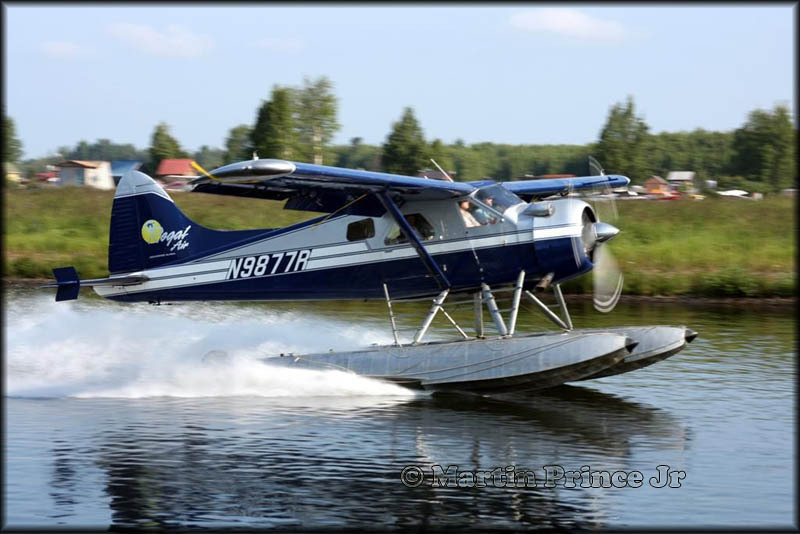 Viking Aircraft now owns the Type Certificate for the CL-215, CL-215T and 415. About 100 truckloads of CL215/415 parts and tooling were transferred from Montreal, Quebec and North Bay, Ontario to Calgary in the last year." 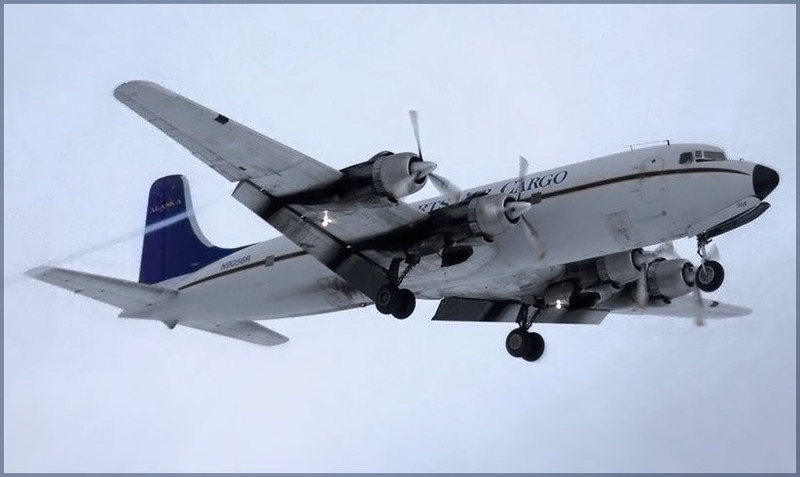 Everts Air dropped into Bethel, Alaska 14May2014 and Joe Joe was there to record it! Curtiss C-46F Commando N1822M (c/n 22521) "Salmon Ella" of Everts Air Fuel. 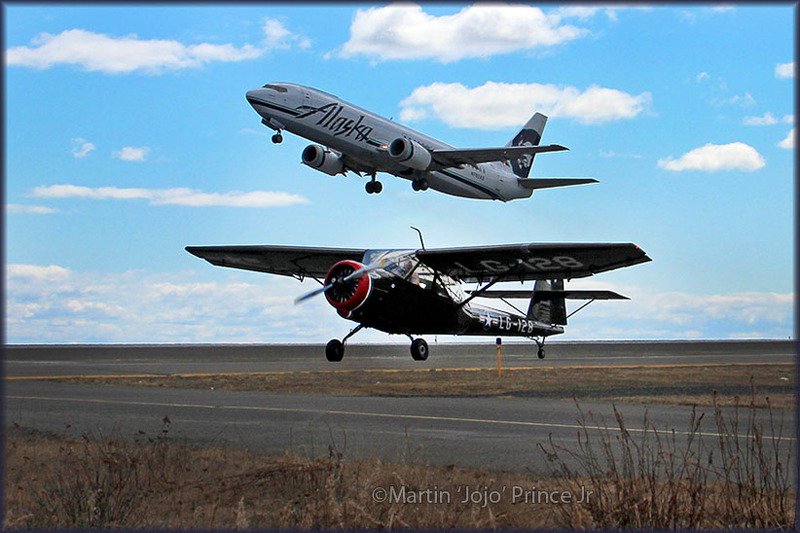 Jojo sent me these images in June 2013 and wrote: "We had a Centennial of Flight here in Bethel last month; they had a couple of AT-6 Texans and a Stinson L-13." 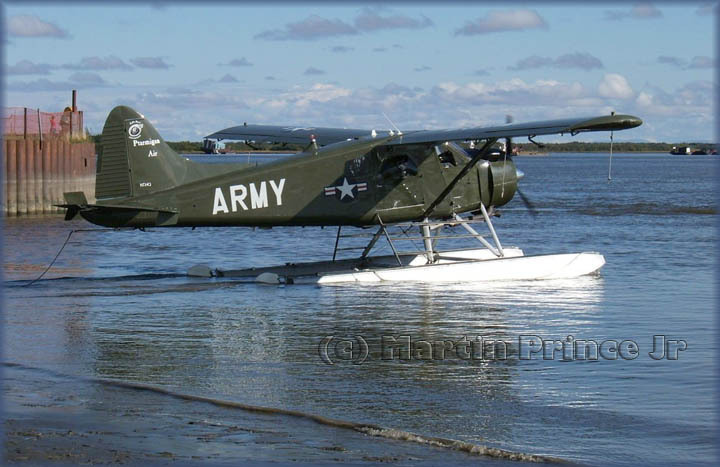 The Stinson L-13 (sometimes known as 'the Grasshopper') was a U.S. military utility aircraft, first flown in 1945. Developed when Stinson was a subsidiary of Consolidated Vultee, rights to it were not included in the 1948 sale of Stinson to Piper. Mass production was therefore undertaken by Convair, which built some 300 of them. 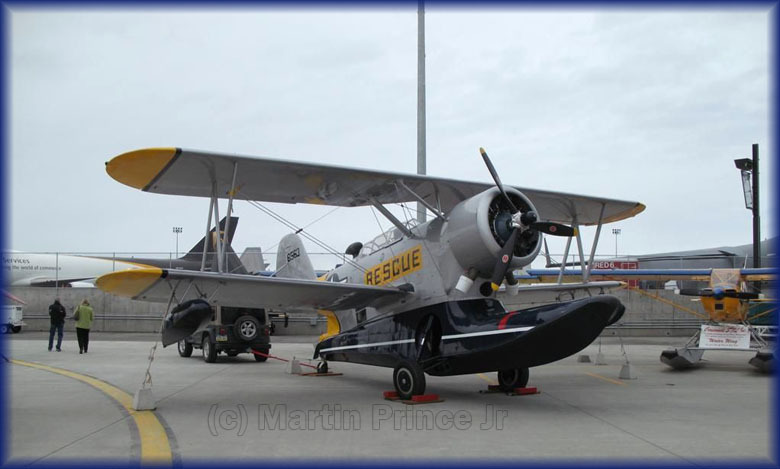 Martin 'JoeJoe' Prince Jr sent me this, dated 22Apr13: DHC-2 N2749 at Lake Hood. 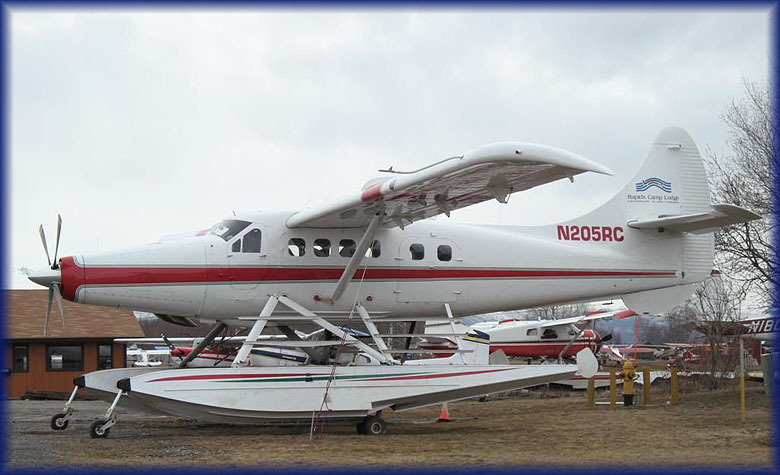 N39303 is back in Bethel hauling bypass mail for Alaska Hovercraft this spring, with new Alaskan Doors / extended baggage compartment. Photo taken May 19th, 2011. Martin sent me this update from Lake Hood; photos were all taken on 25JUL2010. 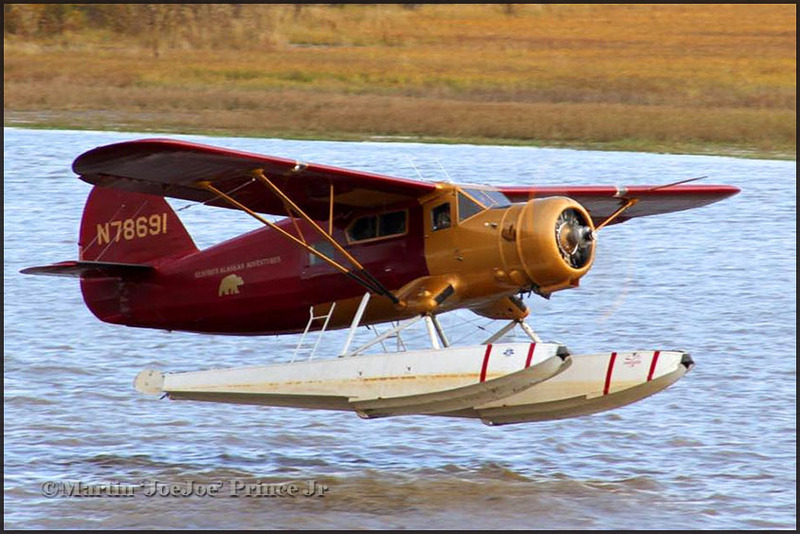 "They painted the DHC-2 Beaver N720 last summer into the original colors of the first Fish & Wildlife paintscheme." 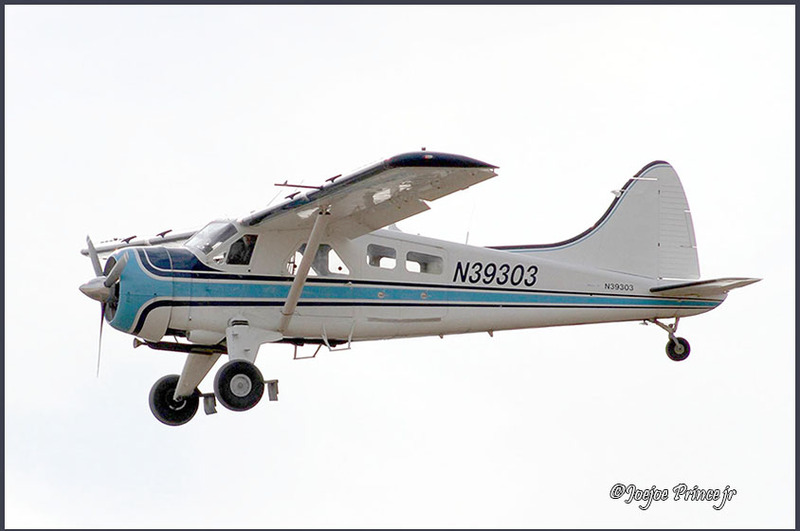 The FAA N-inquiry website shows this DHC-2 MK.1 (c/n 247) was registered as N720 to US Dept of the Interior on 19Nov2007." I think it is a heck of a colourscheme, well done! 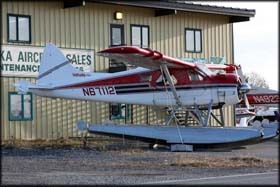 Before 2007 it was registered N5146G, and as such I saw it at Lake Hood in 2006. 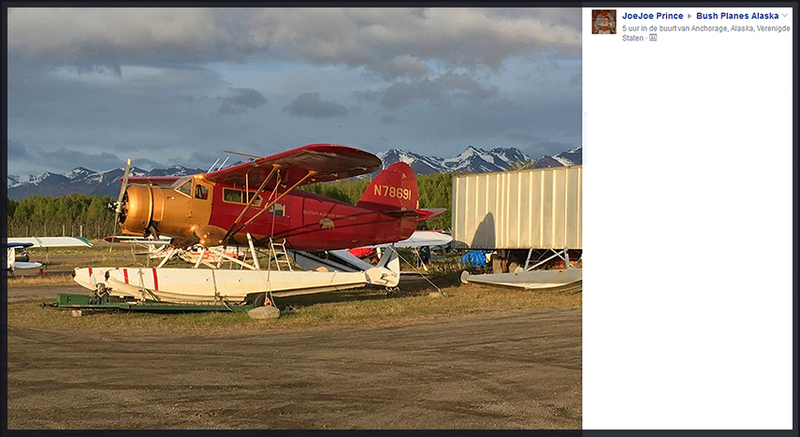 "Bethel's newest old plane...Renfro Alaskan Adventures!" N233H is a Beech G18S c/n BA-481, registered for Michael W. Renfro of Bethel,Alaska on 12Feb2010. "If you’re thinking of planning a dream wilderness adventure, forget about the rest of Alaska, plan a trip with Renfro’s Alaskan Adventures and you WILL experience what a true wilderness hunting and fishing trip really is." "With access only by plane, we offer a variety of guided and unguided hunting packages, including brown bear, sheep, trophy caribou, Alaskan moose or black bear and we strive to tailor each hunt to our client’s individual needs. We also offer exceptional remote fishing adventures for Rainbow Trout, Arctic Char, Lake Trout, Dolly Varden, Arctic Grayling and 5 species of salmon on the world famous Wood Tik Chik Lake and the numerous drainages of the Kilbuck Mountains." "If you are planning a dream hunting or fishing adventure – think Alaska; and before you book your trip do your research. We are confident that you will find our pricing, trip packages and overall experience far exceeds everything else you’ve looked at or experienced in the past." Martin wrote: "Bethel received a new Beaver this past fall, I finally got a shot of it this evening near sunset. 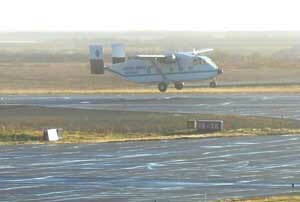 N95DG belongs to JP Air and is seen landing Runway 18R, 12Nov09." 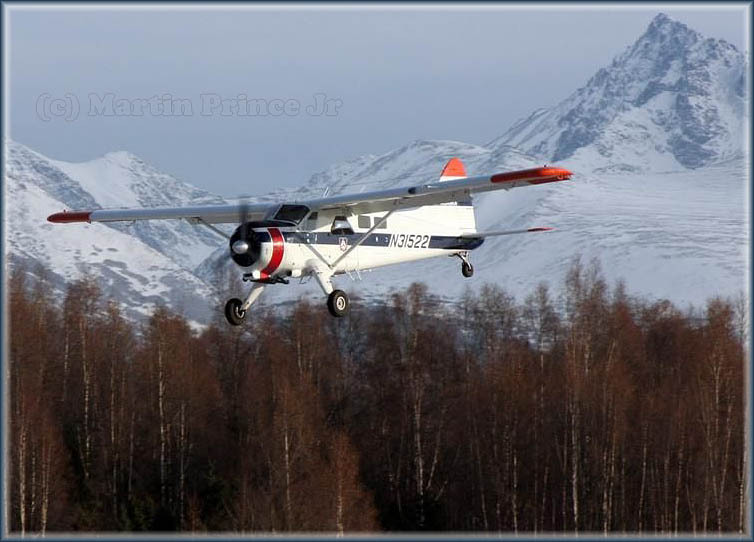 N95DG was registered 09Apr2009 to Aircraft Marketing and Leasing LLC (Fairbanks,AK). 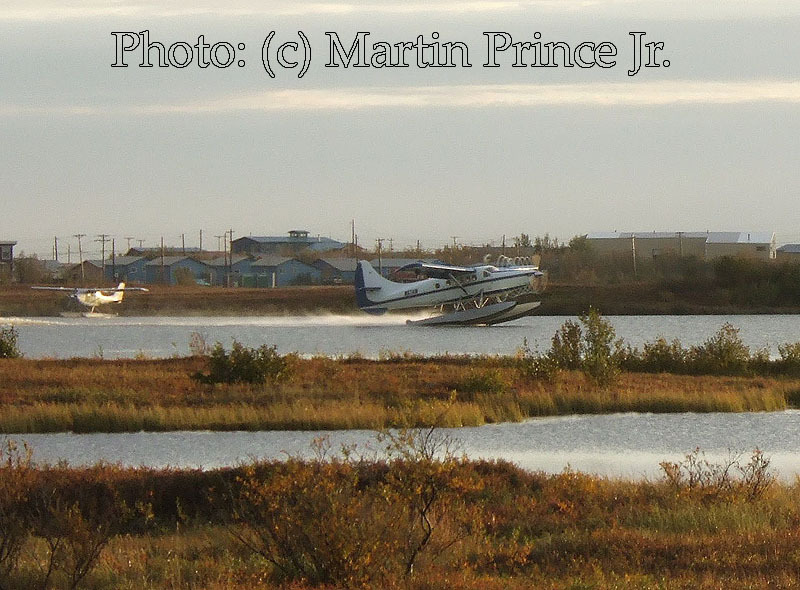 deHavilland DHC-2 Beaver N9877R (c/n 1180) of Regal Air in take off, scaring the waterfowl away, with an external load. When a Beaver hits the water, waterfowl make way! 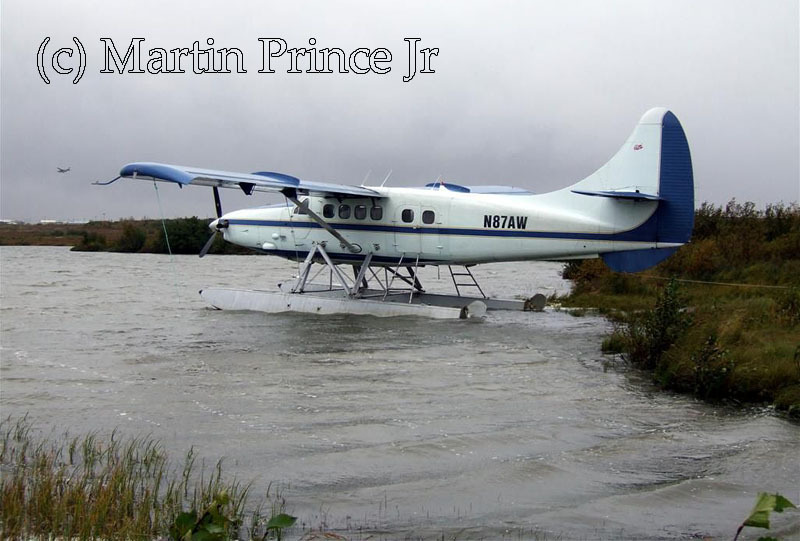 Martin caught DHC-2 N734Q (c/n 1395, for its history see DHC-2.com) while landing at H-Marker Lake (Bethel,AK) on 23Aug09, carrying an external load. 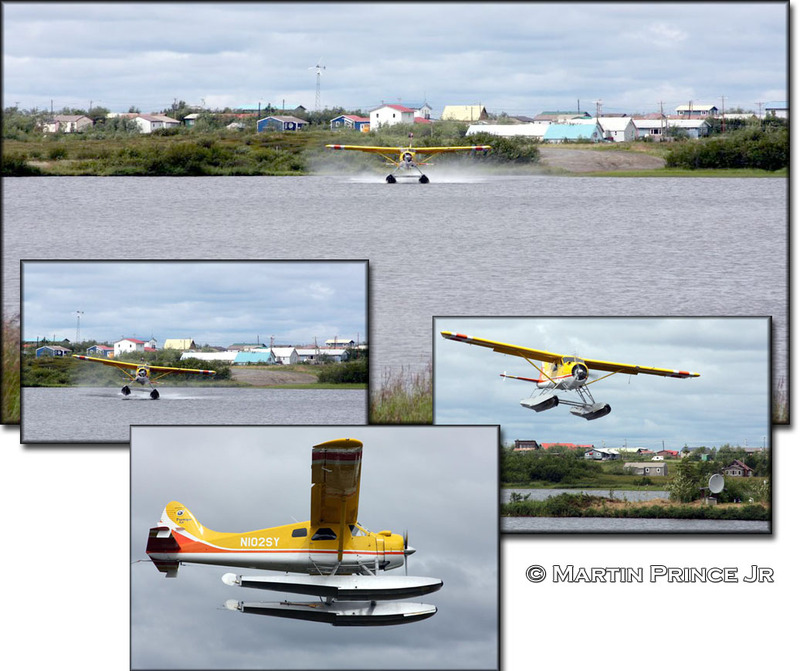 "Here is a sequence of DHC-2 N102SY taking off from H-Marker Lake in july (2009). 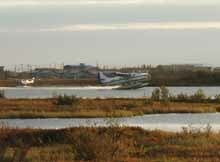 And caught N102SY again, landing on H-Marker Lake, on 10Aug09." 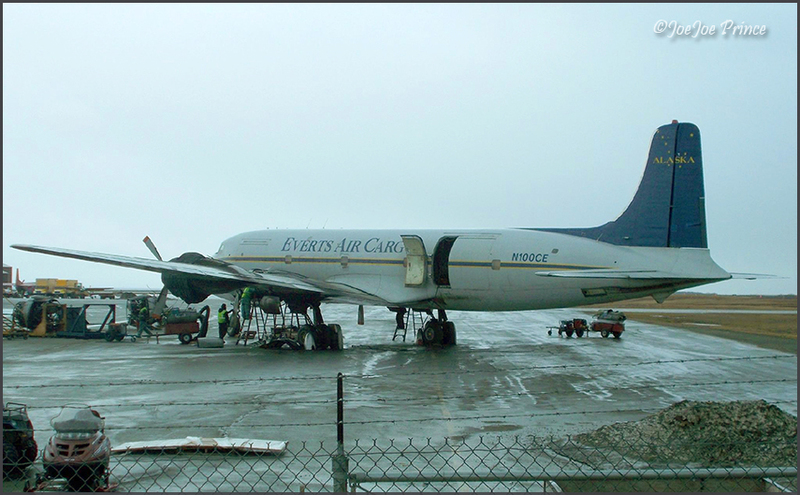 "Also shot N151 of Everts last night, 22Jul08, at the airport." 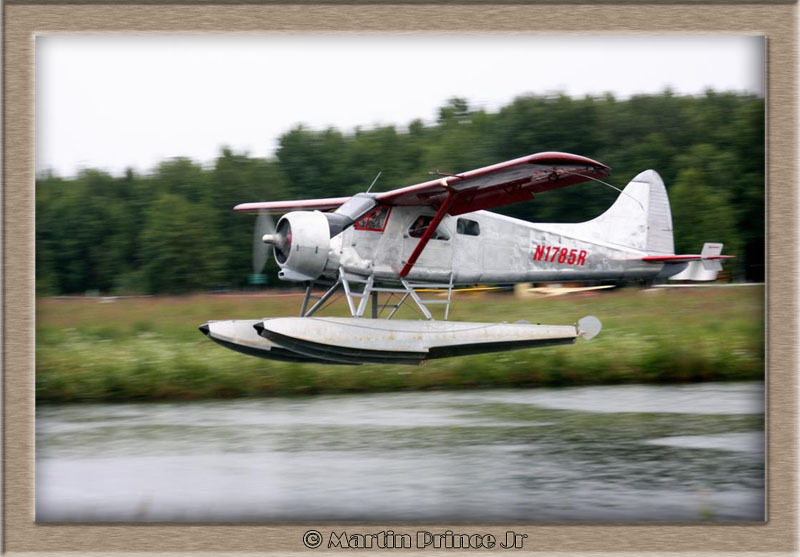 James M Jensen is the owner of DHC-2 Beaver N6LU, registered 13Apr1999. 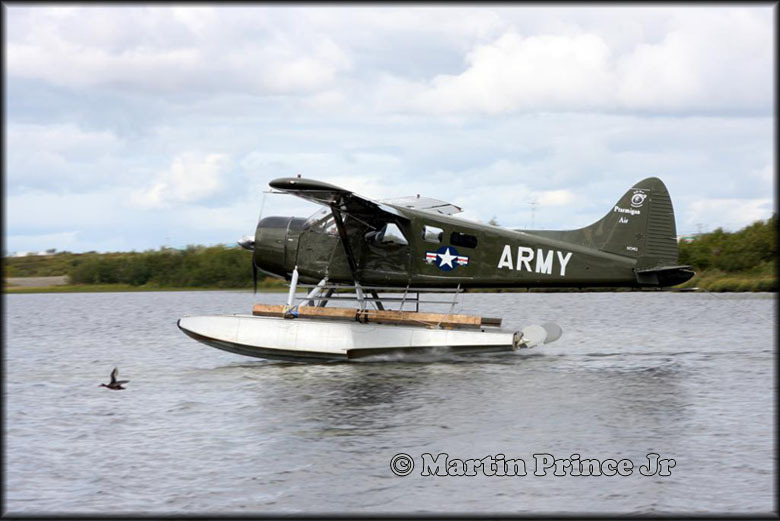 Making its departure from Lake Hood is de Havilland U-6A Beaver N111EB (c/n 1173), registered to Wolf Trail Lodge on 27Aug1990. 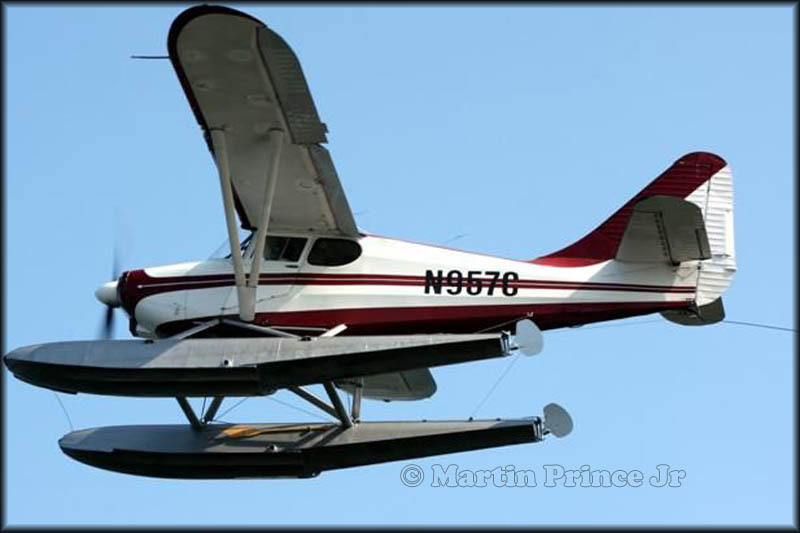 DHC-2 Mk.1 Beaver N9877R (c/n 1180) was registered to Laughlin Acquisitions LLC on 15Aug2005. These planes are actually operated by Regal Air, based at Lake Hood. 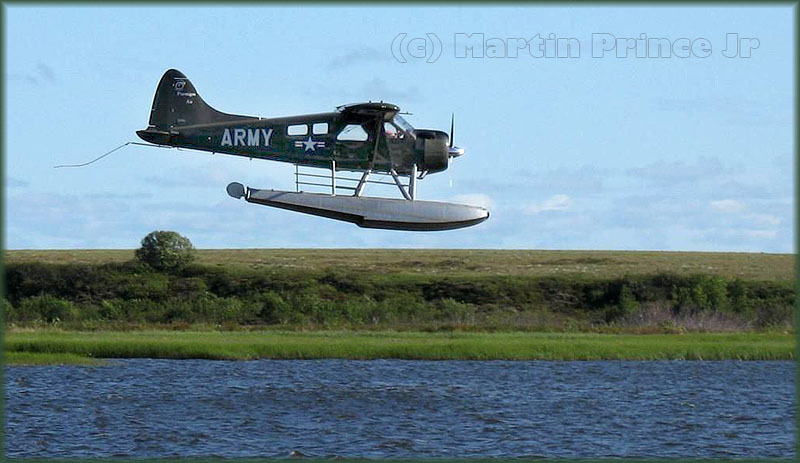 This de Havilland DHC-2 Beaver N9878R (c/n 1135, former L-20A designation) was registered to Laughlin Acquisitions LLC on 15Aug2005. This Stinson 108-3 N957C was registered to 'Stinson 957 LLC' (Anchorage,AK) on 15Apr09. C/n 108-3957 was manufactured in 1947. 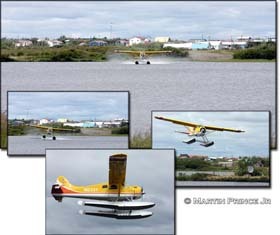 Beaver N39303 on final for the gravel runway at Bethel (AK), 13dec08. Note the protection against gravel damage to the fuselage, fixed to the maingear. 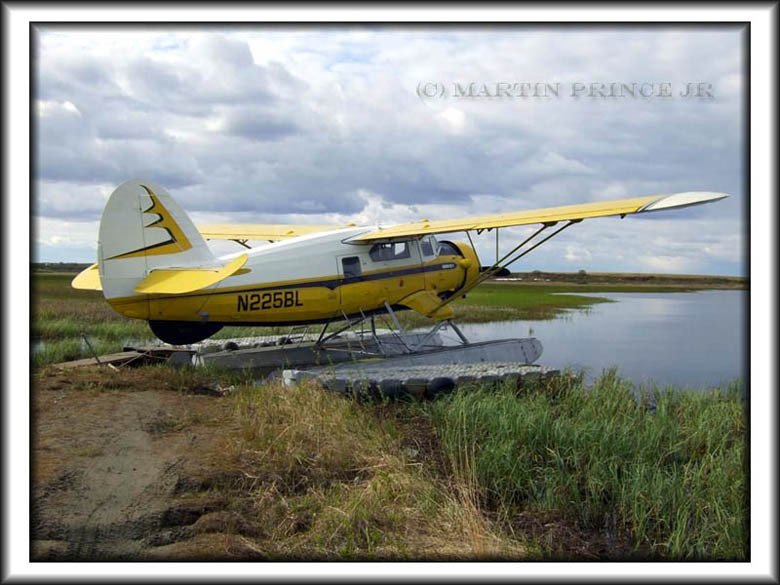 DHC-2 N39303 (c/n 1221) was registered to DHC2 LLC of Chugiak,AK on 27Aug08. "I'm glad I went to the airport during sunset this evening! 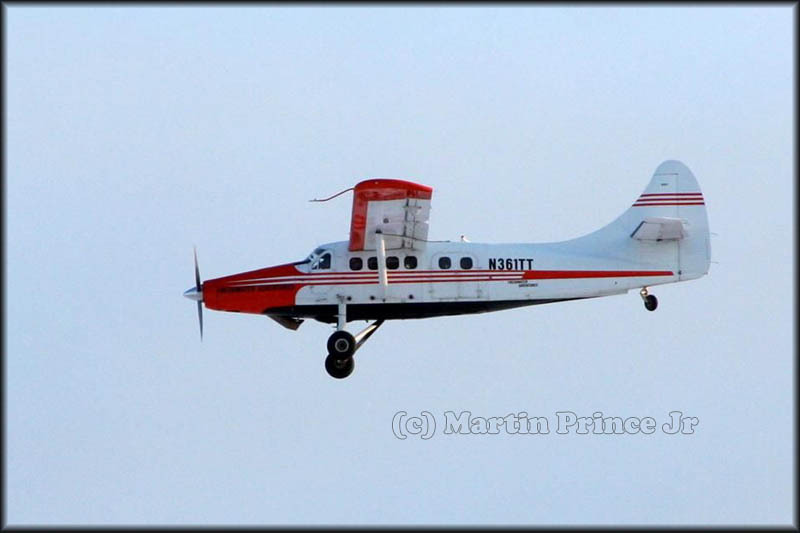 Turbo Otter N361TT took off to the north this evening, I'll go find out what they are doing here tomorrow at some point. 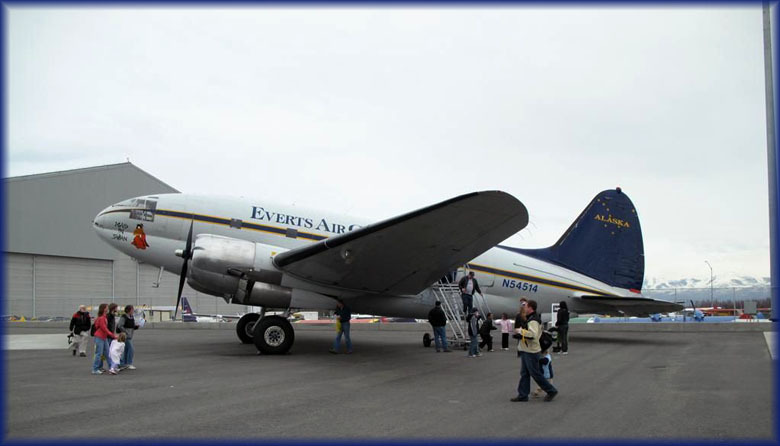 Everts is out here hauling fuel with the Curtiss C-46 Commando to the villages that are low on supplies from a early freeze up." 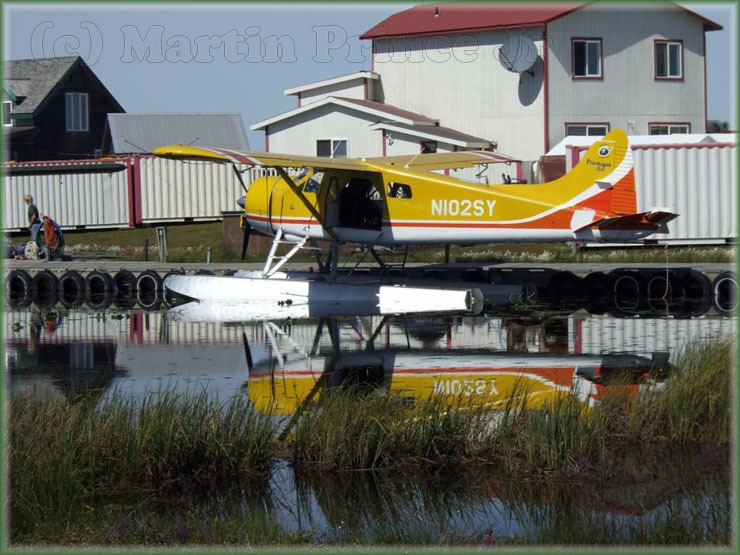 I had come across N1822M myself in 1995, see HERE..
N361TT is a turbine-configured DHC-3 Otter; its history is described on PAGE 1 of Martin's photos. 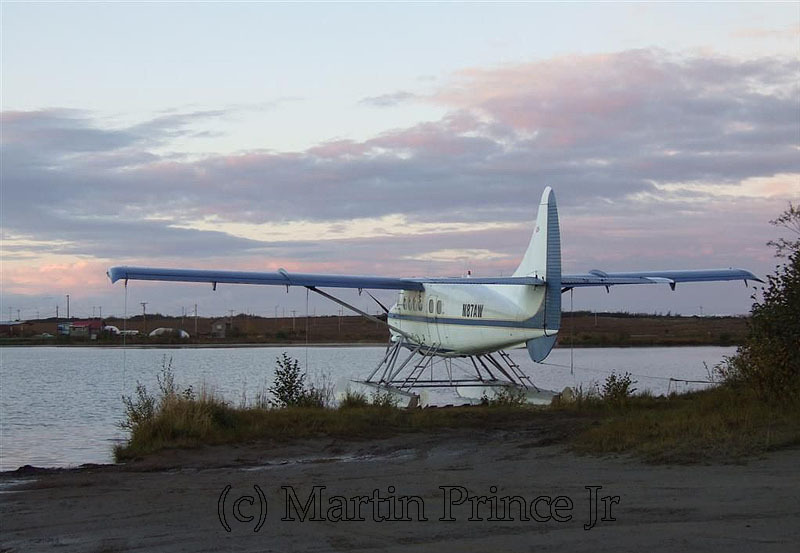 Unfortunately it suffered a fatal crash on 23Sep11, from Aviation Safety Network (ASN) the following: "DHC-3 Otter (Garrett TPE-331 powered Texas Turbine conversion) N361TT crashed near Heitman Lake, near Mile 14 of the Chiniak Highway, Kalsin Bay, AK, six miles south of Kodiak, AK, when approaching Kodiak Aiport (PADQ). The pilot was killed and the two passengers suffered serious injuries." 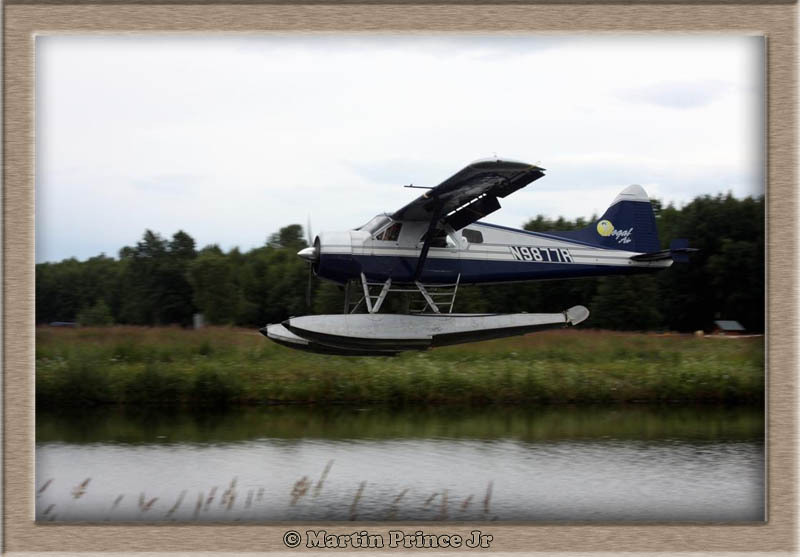 Martin sent me in Oct.2008: "Civil Air Patrol Beaver landing on the Lake Hood gravel strip on 30Oct08"
Zooming past on take off from Anchorage's Lake Hood, is deHavilland DHC-2 N310NR (c/n 396). James M. Jensen since 07Jun99 as a co-owner. Martin took this photo in Sep.2008. 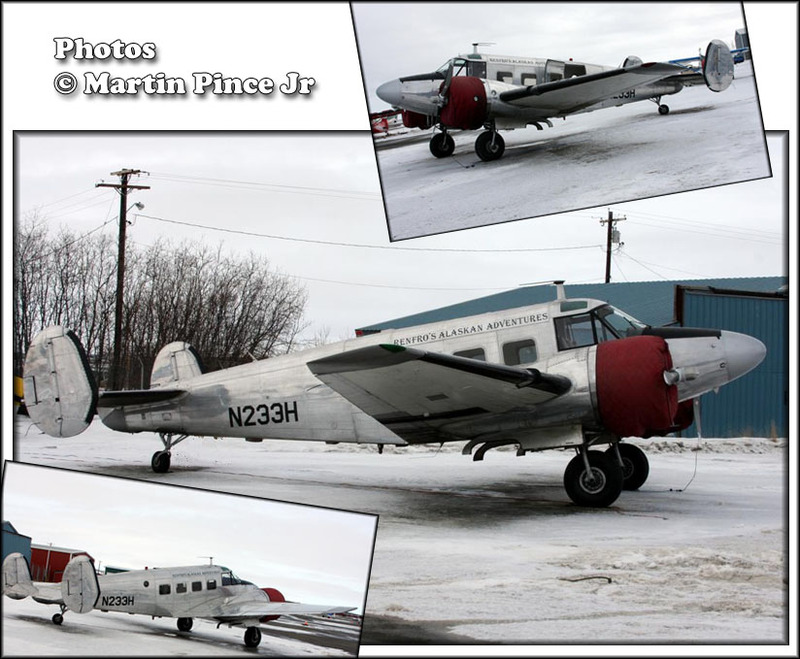 Martin also witnessed N995SP in take off here; this DHC-2 (c/n 995) has been registered to Joseph S. Schuster of Anchorage,AK since 27Jan97. 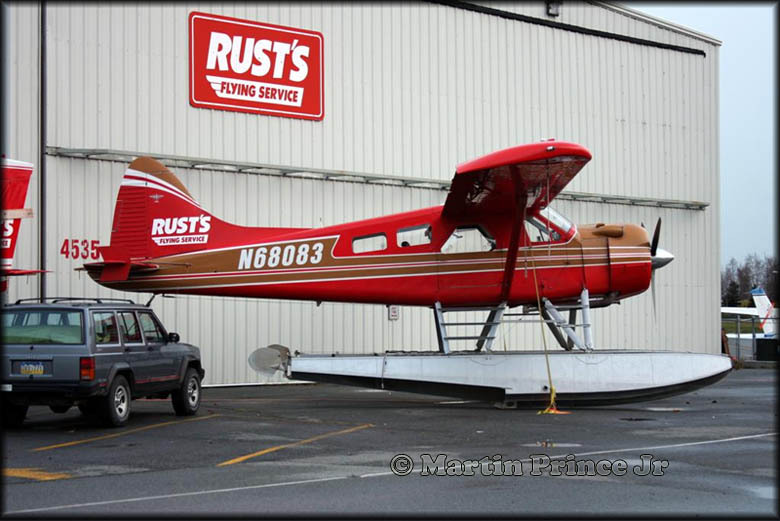 This 1956-vintage bushplane is one of many that can be found at Lake Hood. 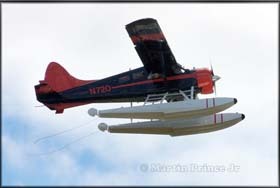 Martin wrote: "Caught the Norseman in action today (16Aug08) on the river strip in front of town. It was a dark overcast windy day. 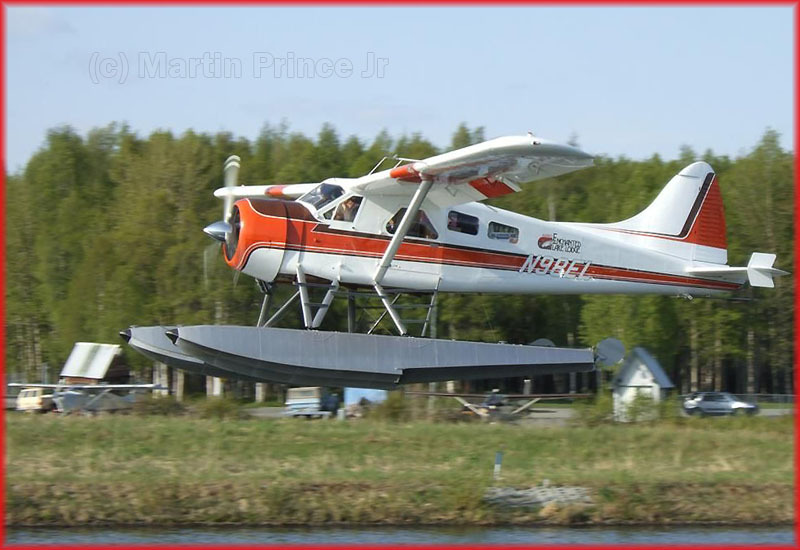 The plane now belongs to Renfro Alaskan Adventures who also has a couple of Maule aircraft, one on wheels and the other on floats. " 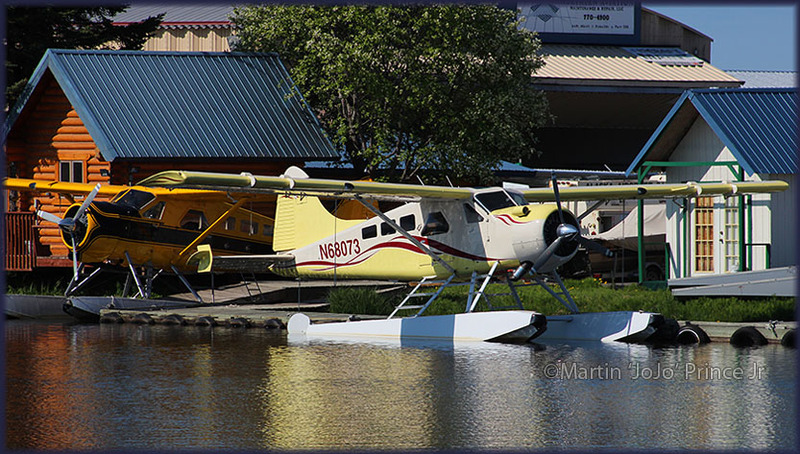 Glad this Noorduyn Norseman (c/n 542) is operational again; saw it myself in 2003 at Lake Hood. "Ruud, I biked up to the lake today (04Aug08) and snapped a few shots of the Ptarmigan Air Beavers..."
Alaska may be bleak (?) and white in winter, but in summer it is blue and green! Martin wrote about these photos: "DHC-2 N734Q was out this morning [25Jun08] doing touch and goes on Hangar Lake. Here are a few shots showing the new extended baggage area." Most recently it was registered 22Nov04 to the bros. Powers. Check out their website: Pa Pa Bear Adventures. They are based in Bethel (aprox. 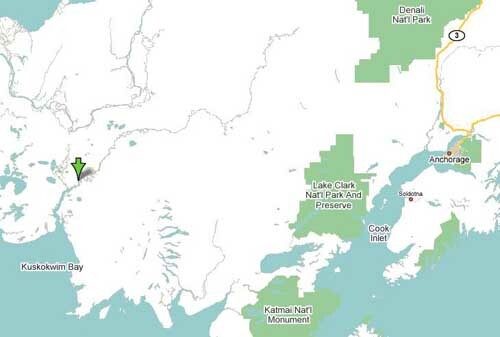 400 miles west of Anchorage) and their website tells all about hunting- and fishing trips and all kind of other adventures they can help you with. Someone wrote me it is normally seen operating from "H" Marker Lake or from the river. In this shot (taken in 2006) you can see it has only one cabinwindow, while since its restoration from the flip-over on 08Aug07 it now has two..
"You can see the extra windows behind the passenger doors. If you look at the cover photo or old photos of the Beaver, it has two extra window's in the back. They put "Alaskan Doors" in to make loading easier. 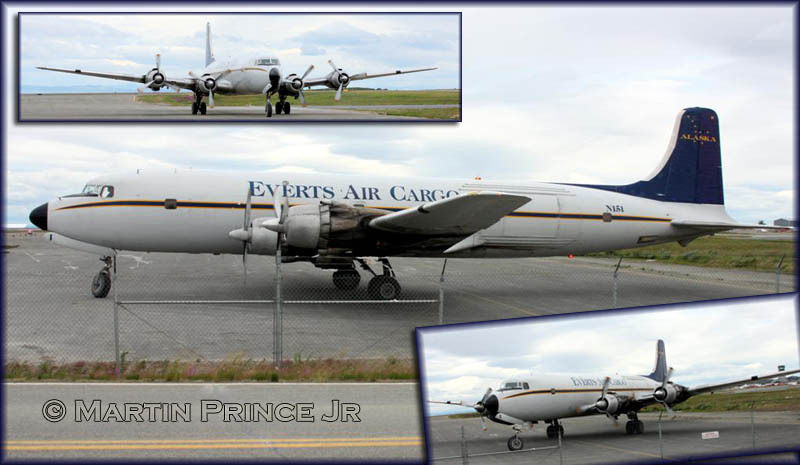 Look at the this photo, and notice the two extra windows above the star now in the top photos.."
Martin Prince took these photos on a visit to Lake Hood, Anchorage in May08. 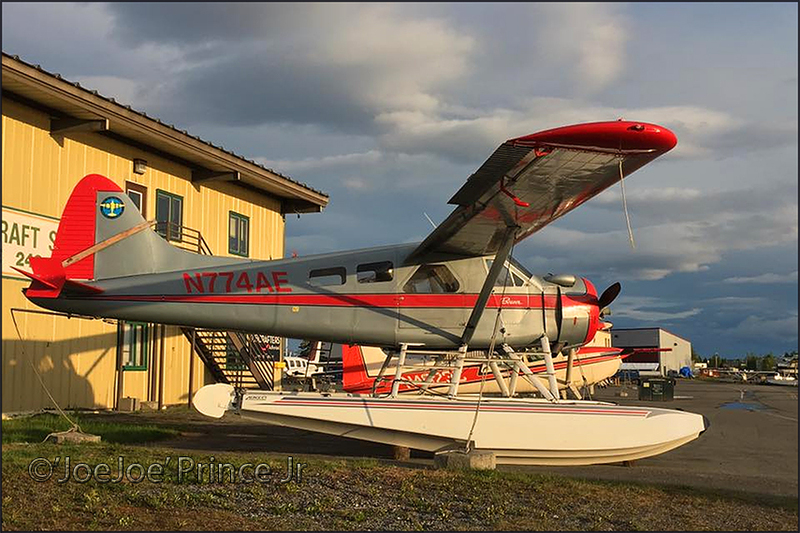 N98EL has been registered to Alaska Enchanted Lake Lodge (King Salmon,AK) since 30Mar90; that is what I call a faithful service! Right: N900NL NewHalen Lodge Inc, Anchorage,AK R21Oct97. 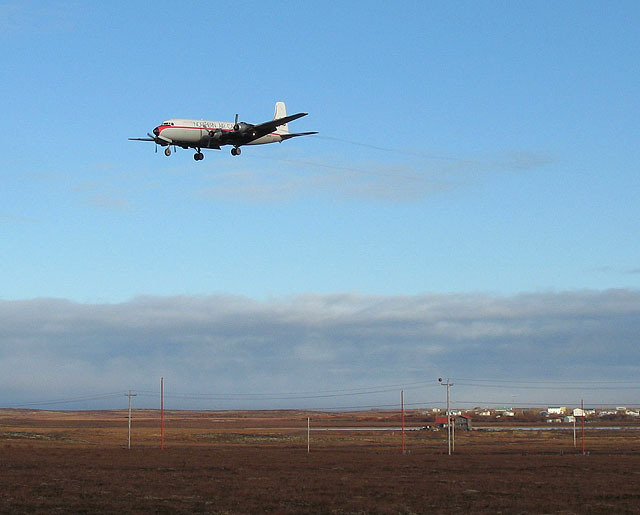 Aviation Letter (no.516, nov.2009) reported N900NL's doom when on 03Oct09 it flipped over and sank on take off near Kokhanok,AK. Both occupants were reported ok. I also stopped by Lake Hood for a couple of shots." Move you rmouse over the image for info on the aircraft shown (some I have not been able to identify, help appreciated). 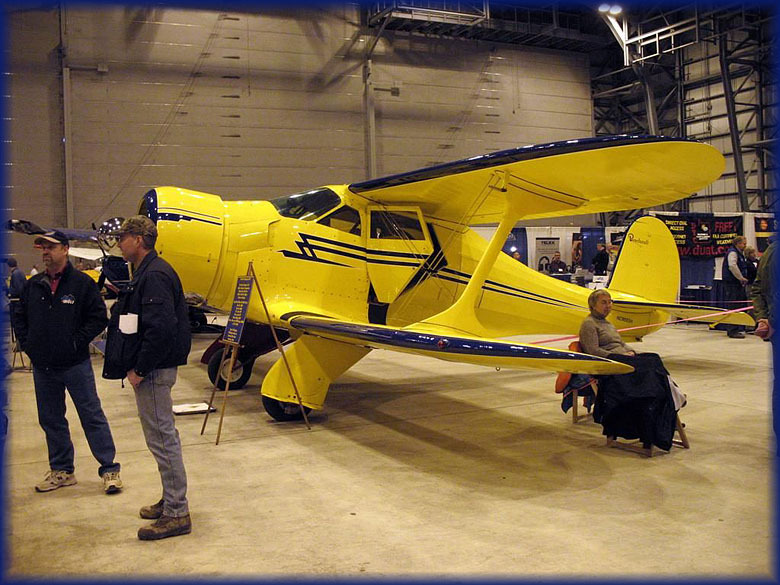 Below: A Beech 17 Staggerwing! Beech D17S N9885H is detailed HERE, seen arriving (no date) in Girdwood, AK from Heritage Aviation in Alberta, after a complete rebuild. 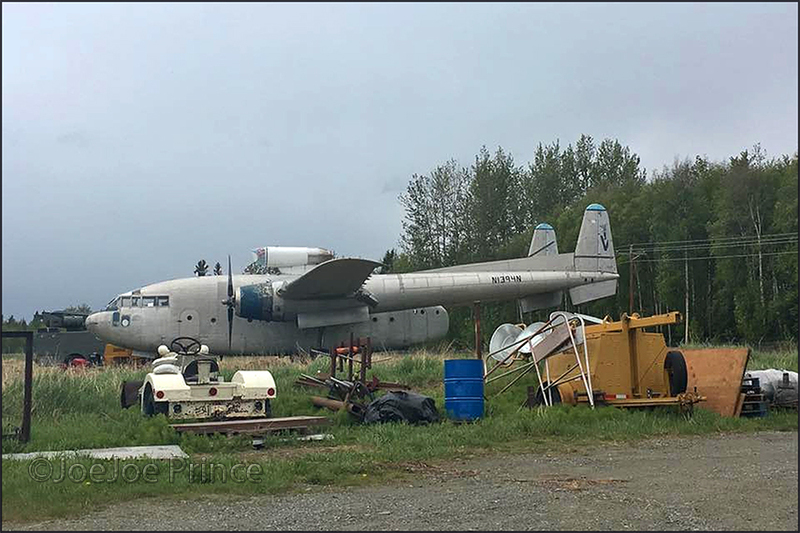 N9885H has c/n 3091 and was registered to P K Livingston Alaska Inc (Girdwood,AK) on 02oct96; it was originally manufactured in 1942. 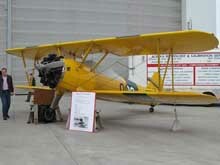 Information on the Beech Staggerwing can be found on WIKIPEDIA. The owner, Phil Livingston, sent me an email and more photos, which can be seen HERE.. The Grumman J2F-6 Duck '8583' has been reported for sale; it sure is a unique survivor. Ex/ C-FAPQ. Arrived at Vernon, BC on a truck on 30Mar05, having made the long road journey from Hemet, California. The previous day its Canadian registration had been cancelled. It was still in the all-white colour scheme and showed evidence of its long period of storage, with birds nests visible in the engine cowling. At Vernon it received a major refurbish by Kal Air, was converted to a Texas Turbine (conversion no. 17), was put on Wipline floats and received a new paint scheme. 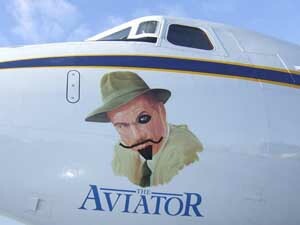 On 11May05 marks N205RC were reserved for Rapids Camp Lodge Inc with an address in Dallas,TX and these marks were painted on the aircraft. 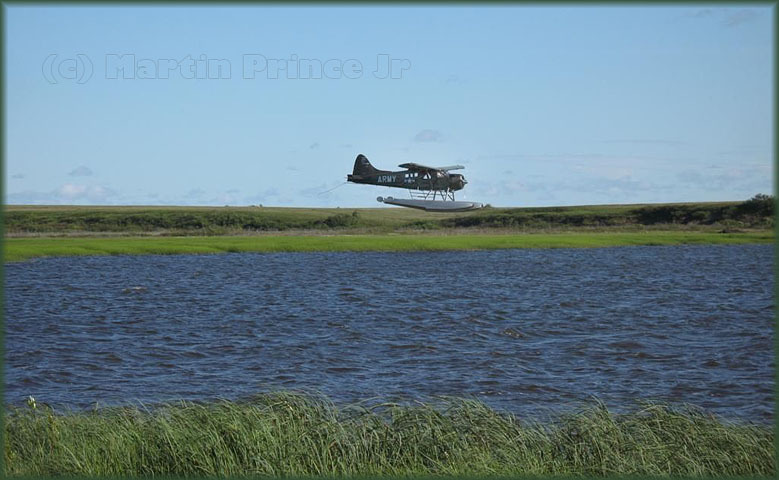 The fishing lodge itself is situated on the Naknek River Rapids, 7 miles up river from King Salmon,AK. 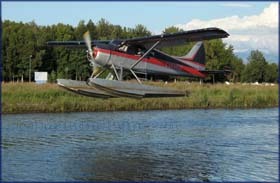 The Otter was registered N205RC on 23Jun05 and left Vernon,BC 2 days later for Alaska, for the next phase of this aircraft’s long career. 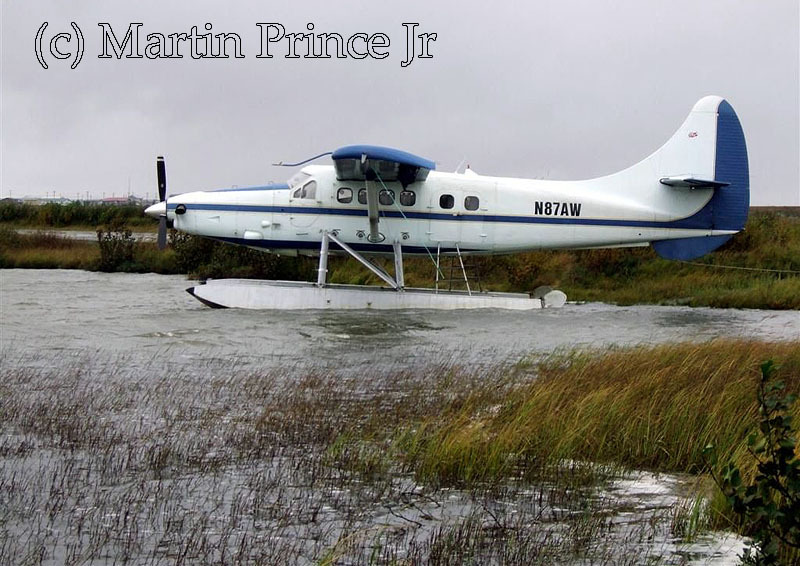 It services the fishing lodge, flying guests in from Anchorage and also from the lodge to remote fishing sites in the Bristol Bay area of Alaska. owner Dr Trygg Ramstad, tailnumber? 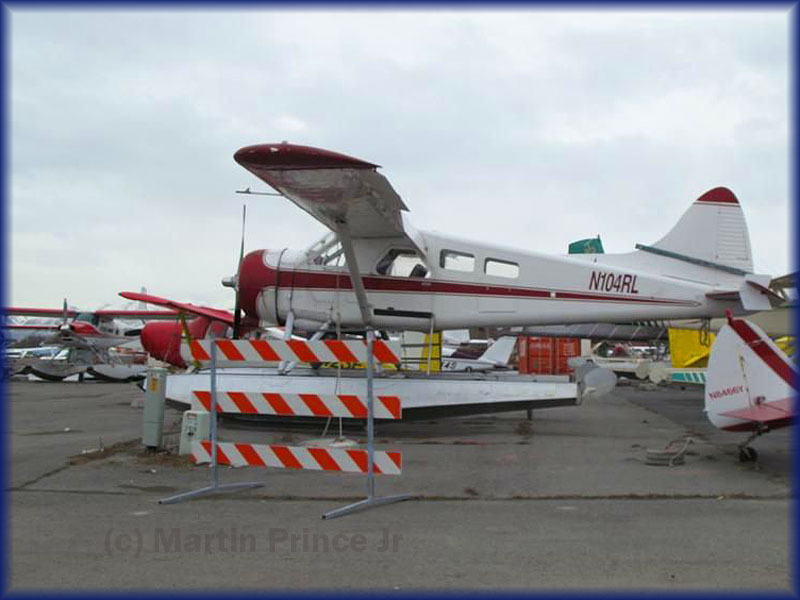 This is N225BL (c/n 542) and I saw it at Anchorage in June 2006, parked and for sale at that time; this photo shows it has found a buyer! 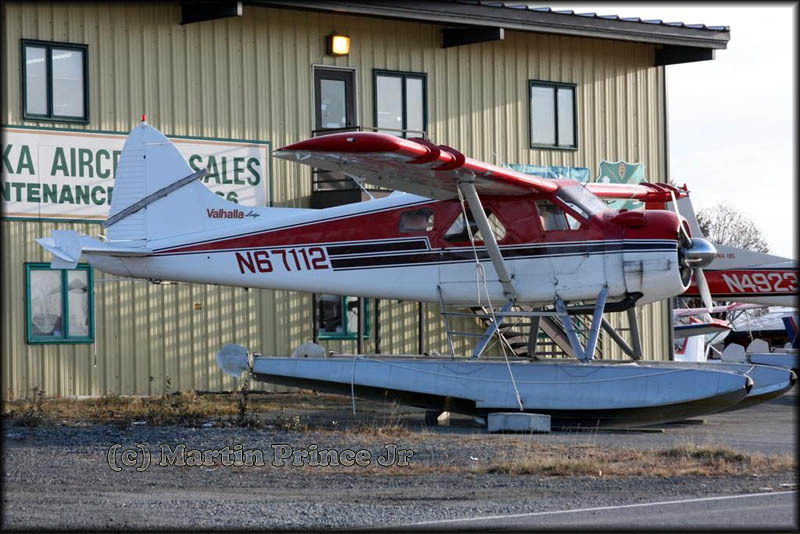 "We recently sold the Norseman to a company in Bethel. That is why your friend saw it flying around. I think it arrived in Bethel only a couple of weeks ago." In 2016 I came across a note that it was being rebuilt by Jeff Brooks. 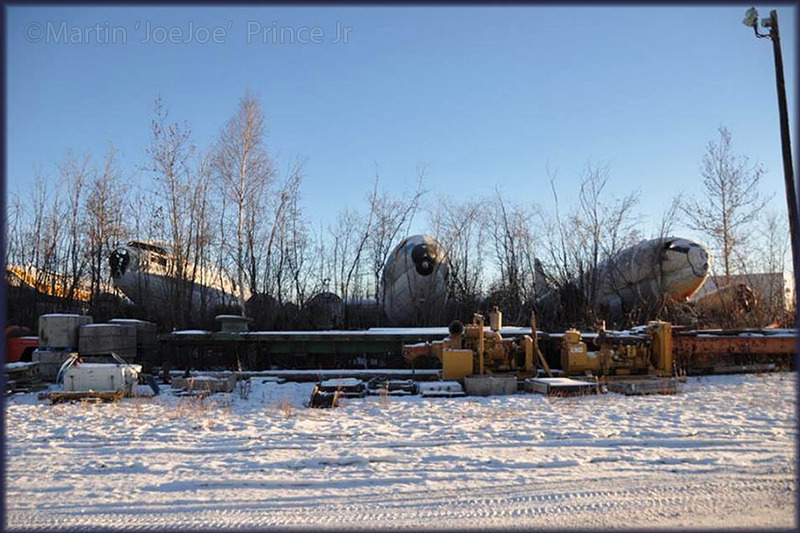 But 2016 photos show scrapped remains in open storage at Bethel, that situation was confirmed to me in May 2018 by a Bethel resident. 'Lamadriver' wrote this in 2012 online: 'I bought CF-GUE for export to Alaska in 1999. It is now N225BL. Too bad, it was such great airplane and had a long notewirthy history. I enjoyed seeing it in the movie, 'Grey Owl' with Pierce Brosnan. I brokereed it to Bear Lake Air in Seward AK. 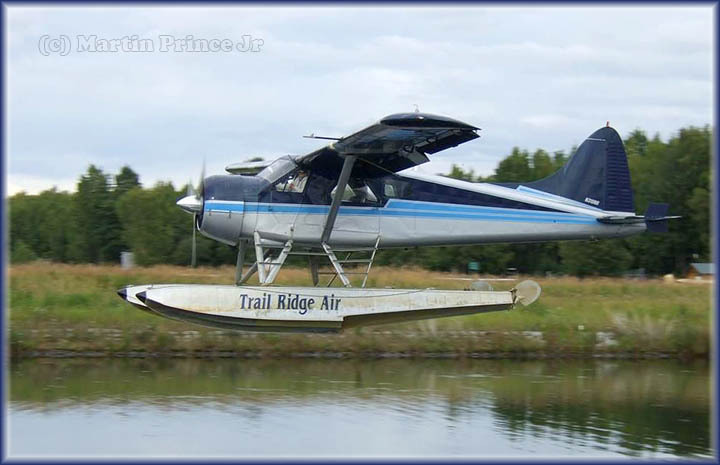 They flew it a couple years and sold it to a fishing guide service on the Kenai River. They flew it a few years and sold it to Renfrow's Wilderness Lodge in Bethel, AK. Renfrow operated it for a couple years. I converted it to Goodrich wheels and brakes, similar to an Otter, but they were off a Sikorsky S-58 helicopter. It was the first time in many decades 'GUE had been on wheels. Renfrow was making good money with it on wheels but had an engine failure on take-off and flipped it over. 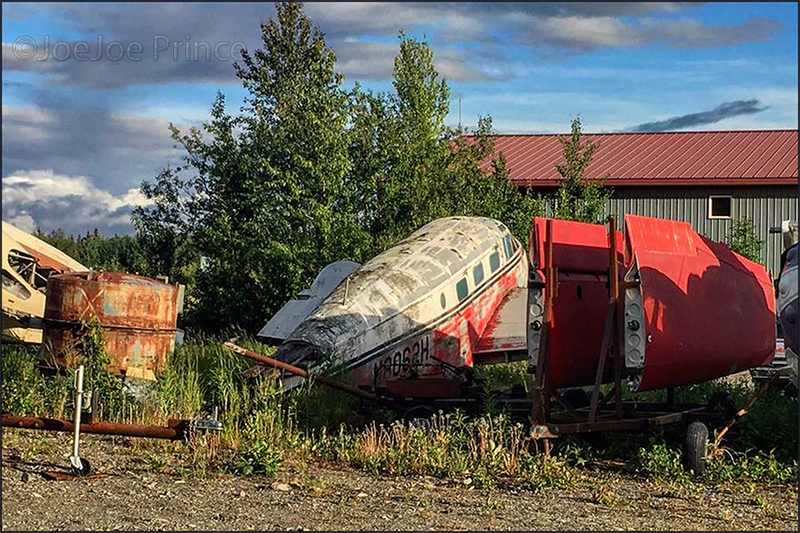 Someone in Fairbanks bought it and is rebuilding it. Photos on www.aerialvisuals.ca/AirframeDossier.php?Serial=2961 show scrapped remains in open storage at Bethel in 2016. In May 2018 it was confirmed to me by local Bethel resident, JoeJoe, that those remains are still there. 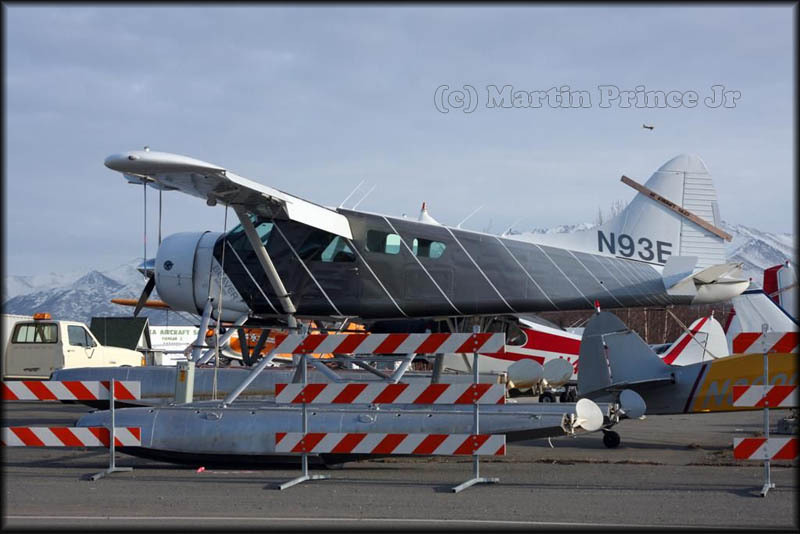 I did find a part with CF-GUE registration on it at Yanks Air Museum in april 2018; perhaps that was the only thing they could use of N225BL for their restoration of a Norseman..? 'Delivered to the USAAF as aircraft No. 44-70277. Sold as war surplus to Kansas City Southern Skyways, Kansas City, Missouri and registered as NC54316. Reported as sold into Newfoundland and registered as VO-ABX. Bought by Queen Charlotte Airlines, Vancouver, BC. and registered as CF-GUE on 02Dec1950. Re-registered to Pacific Western Airlines in 1956, when they bought out Queen Charlotte. Reg'd to BC Airlines, Vancouver, BC. in 1961 and then in 1965 to M. Murchison and M. Rowley, Edmonton, Alberta. 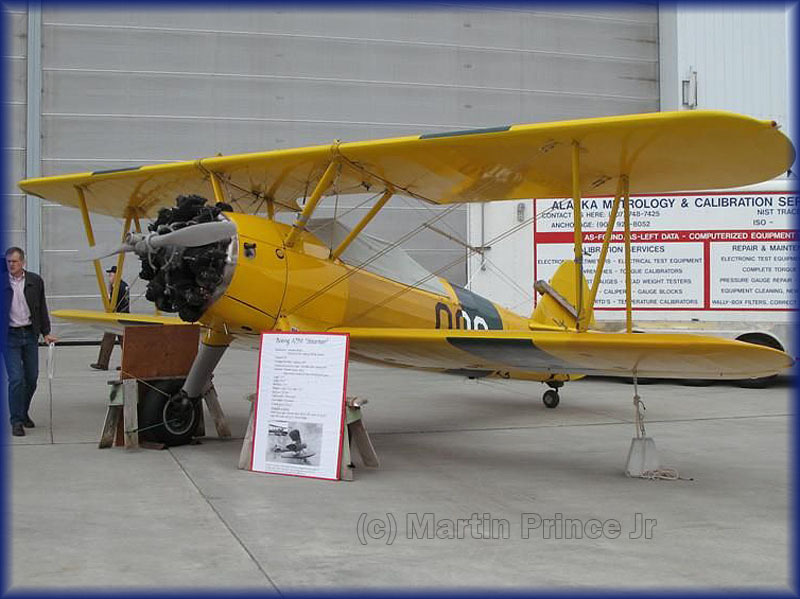 On 14May65 it was registered to Tyee Airways Ltd., Sechelt, BC. and then on 06Jun1968 to Geri Johnson (Gimli Air Service) Arnes, Manitoba. 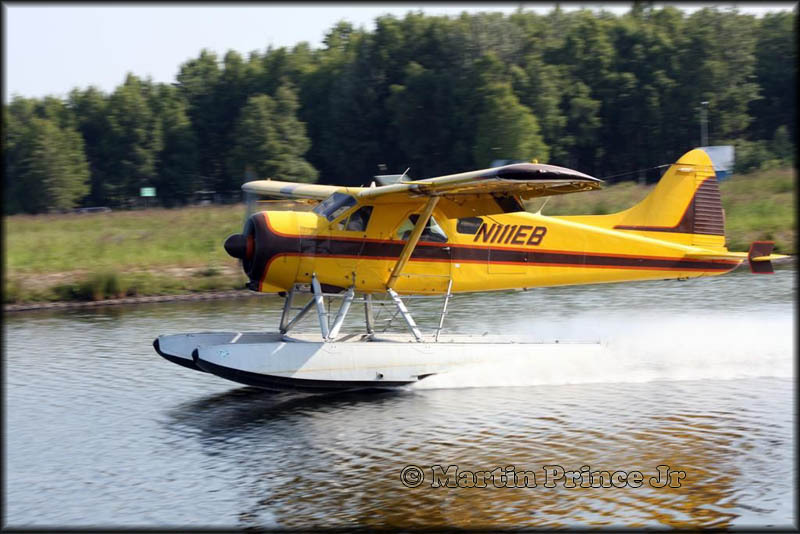 Registered to Northway Aviation Ltd., Arnes, Manitoba on 06Sep74. Next registered to Mid Manitoba Air Ltd., Norway House, Manitoba on 05Jul1993. Registered to Sioux Lookout Fly-in Camps, Sioux Lookout, Ontario on 08Aug94 and then to Dennis Perry, Soldotna, Arkansas on 19May99 as N225BL. Here is Everts' N151 (Douglas DC-6B c/n 45496/992) on a snowy/foggy/freezing drizzle day getting ready for an offload in Bethel. Note the angle of the nosewheel while makeing the tight turn..
"These were taken October 3rd: it is what mechanics do when they want to mess with the pilot's head!" 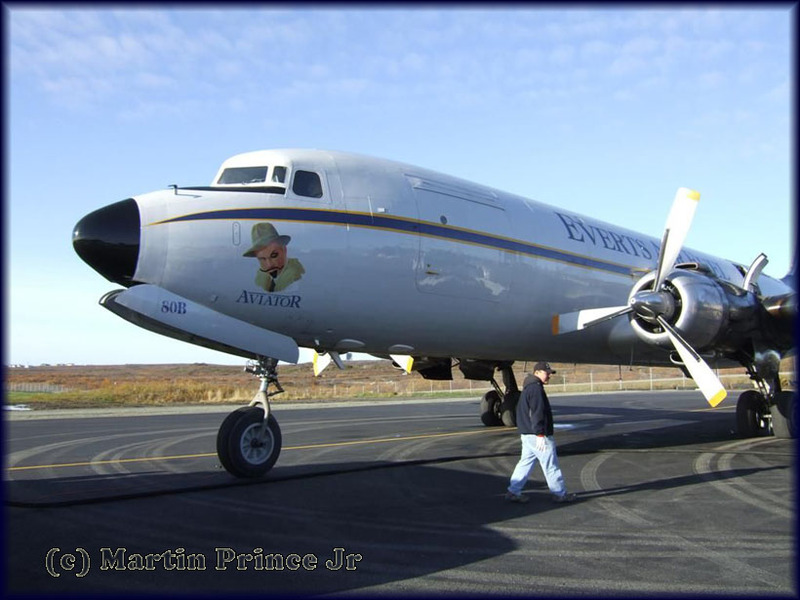 Martin was here at Bethel to record this jest for posterity..
"I worked at Hughes Aircraft during the 1980s and ran into a lot of old timers who worked with and even flew with HH himself. They had lots of stories, and who knows what were myths and what were based on facts? I was told that HH had the cockpit of that low time DC-6 reworked for better ergonomics, then just forgot about it. They said he had sort of abandoned other planes too including a reworked Douglas Havoc. He did want the Flying Boat (Spruce Goose to others) maintained in flight-ready condition long after its useful days were past. They spent a fortune maintaining it and fighting moisture incursion into the laminated structure. Some who claimed to have flown with HH said he was a superb stick-and-rudder man, but ignored flight manuals and thorough checklists. They said he often put flaps or gear down at way above the max airspeeds indicated in the manuals." During my visit to Anchorage in 1995 I saw this DC-6A N7780B with Northern Air Cargo; it flew as a fuelhauler. Later it was reported also to carry titles "Northern Air Fuel". During my visit I was told this Douglas Six was formerly owned by Howard Hughes, but he stored it with only 9hrs.50 min. on the airframe! As such it was bought by NAC in 1973. 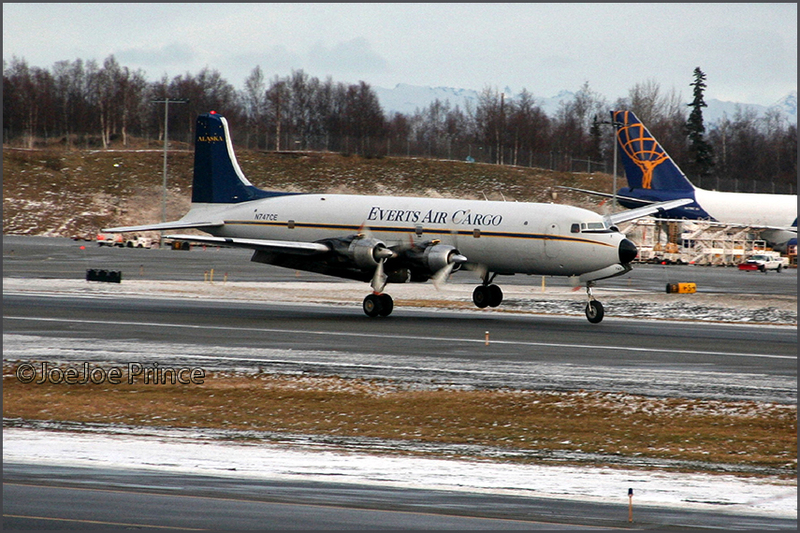 Northern Air Fuel was taken over by Everts Air Fuel during 2005 and the deal included N7780B and N7919C (which was doomed to be scrapped for spares). 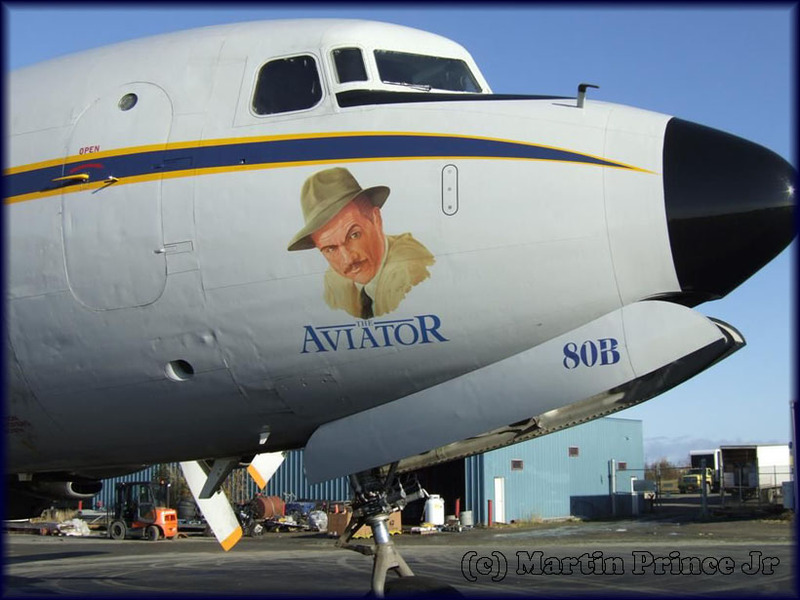 Everts put the Howard Hughes artwork on it, a tribute to a remarkable figure in US aviation and well played by Leonardo DiCaprio in the 2004 movie The Aviator (see IMDB). 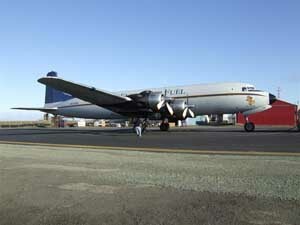 "The story about the Howard Hughes DC-6 that had been stored for many years is in fact true. The story was that it had been stored, almost new, in a hangar at Opa Locka Airport in Miami, FL. It really had NOT been stored -- it was put in the hangar and simply forgotten about for years while the Hughes Estate was in probate, et al, in the Florida courts... Hughes empire was large, and records, paperwork, and so on, were scattered across the US at the time Hughes died. 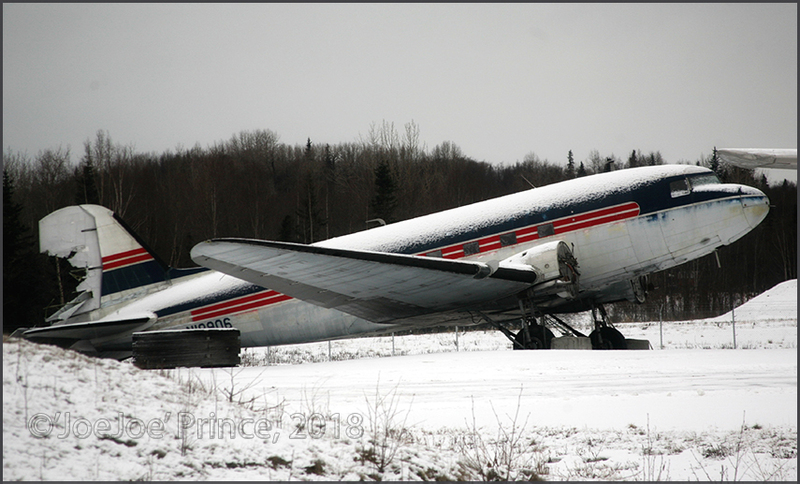 The DC-6 was only 'found' when the hangar was needed for other purposes! 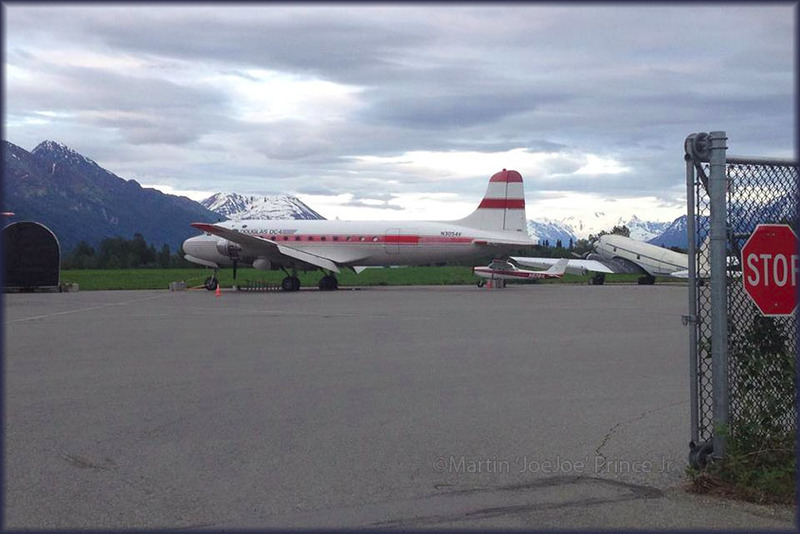 The hangar at the time, was leased by the folks who put the DC-6 in it. The lease had long expired, but no one came to claim the DC-6 inside. 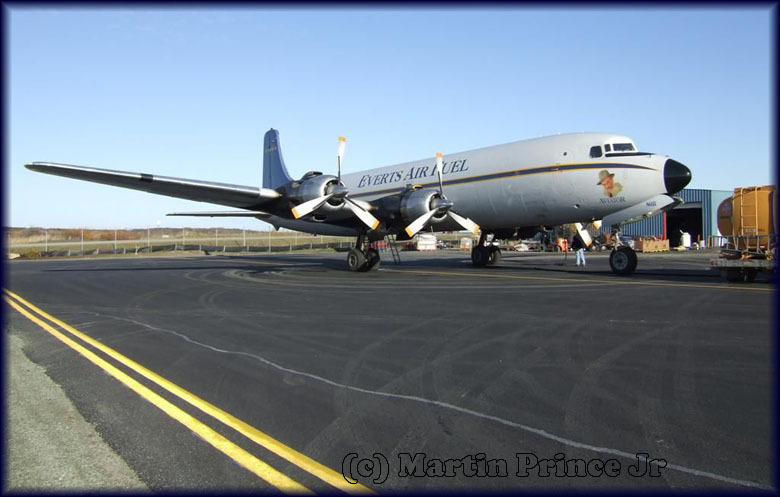 For whatever reason, the DC-6 never showed up on Huges Estate inventory either, so there were no formal ownership records (at least not readily available locally). The DC-6s ownership had to be traced back to Douglas Aircraft sales records, which is how they eventually found out that Hughes was its owner. Hughes flew it one time. FAA registry records also confirmed expired registration info, and the FAA had long written the original registration off the books. This story appeared in the Miami Herald newspaper long ago, probably in the late-1970s, complete with a photo of the DC-6. It had been stored well, stored 'dry', and the only damage was that its tires had dry-rotted in place in some spots. All fuels, oils, lubricants and battery had been removed at the time of parking in the hangar. The fuel tanks had also been fogged (to prevent drying, cracking and having to be condemned. 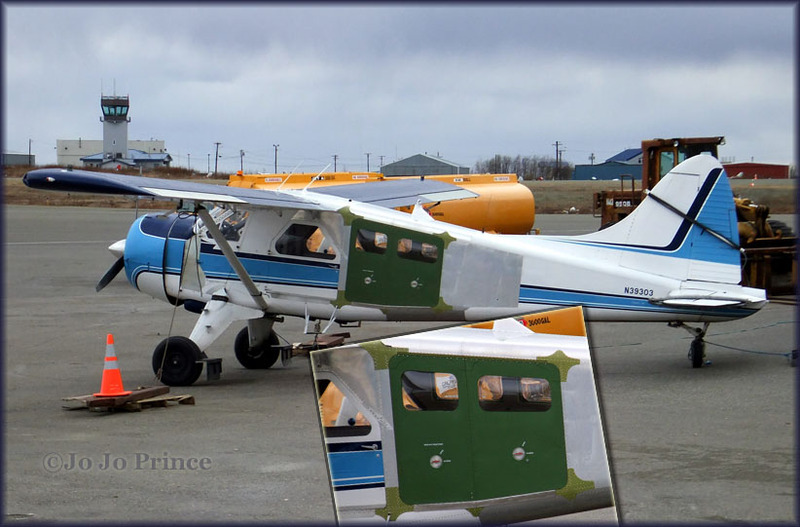 Aircraft windows were sealed and covered, as were all doors (to prevent mildew, rodents, and other forms of deterioration). 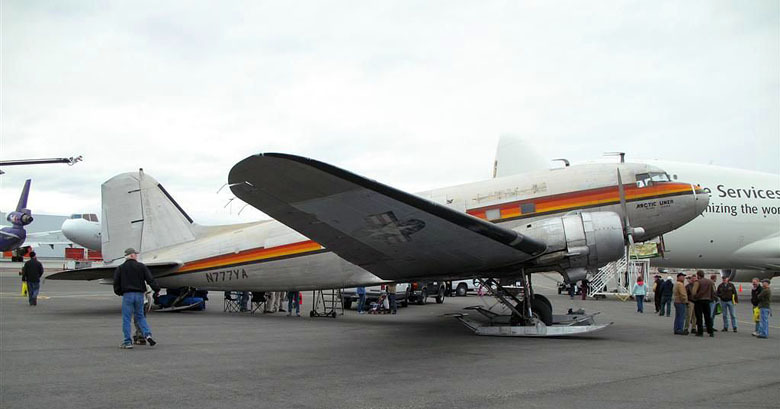 Tire rot could have been prevented if the DC-6 had been on jacks. Who ever placed this plane in storage did so with the intent of long-term storage, and knew what they were doing. It was not parked haphazardly." 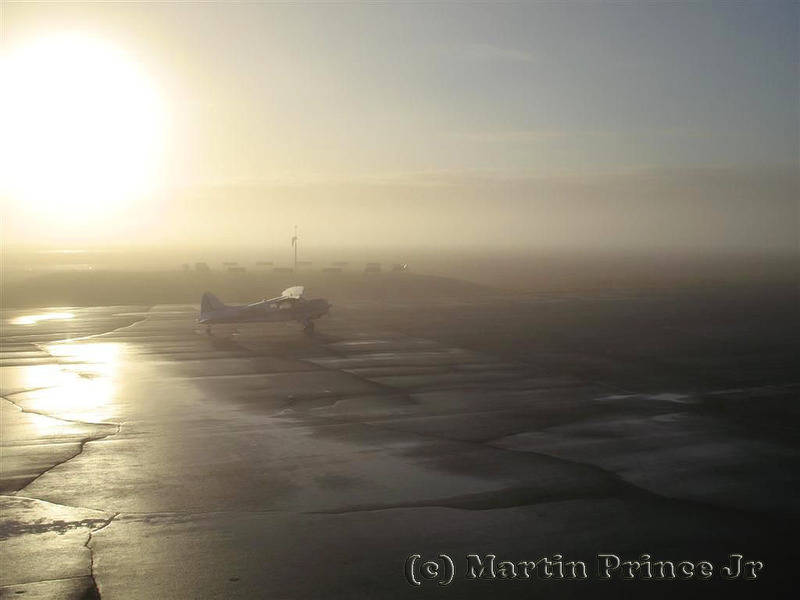 Here is a foggy shot of Arctic Circle Air's Skyvan N1906, on a misty morning October 10th, 2007. N1906 is a Short Brothers SC7 Skyvan Series 3, c/n SH.1906. It was registered to Arctic Air Group 20Mar98. This ugly-duckling was manufacured in 1972. 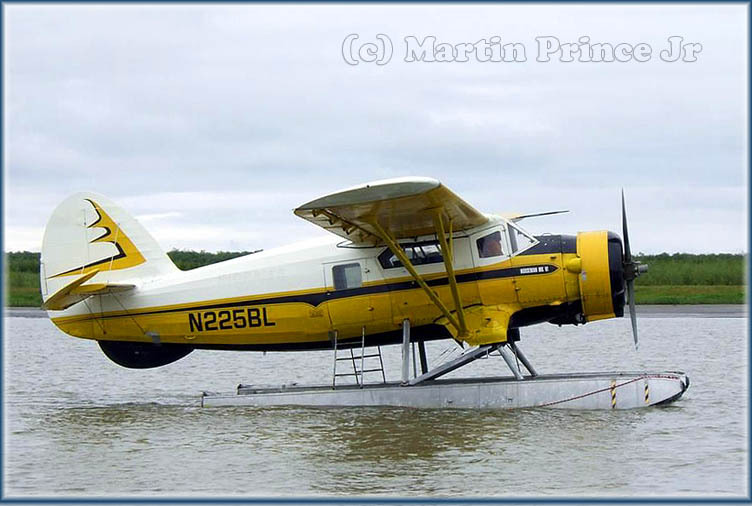 Arctic Circle Air Service recently made -sad- headlines when their SC7 Skyvan N2088Z (c/n SH.1963) failed to climb and hit trees on departure from a gravel strip at Mystic Lake Lodge, Amos Lake,AK... N2088Z was being ferried to Anchorage for repairs, after sustaining damage on landing there on 01Sep07. On that fateful 20Sep07 it crashed through trees and came to rest in the lake, with considerable nose damage, writing off the aircraft and one person fatally injured. 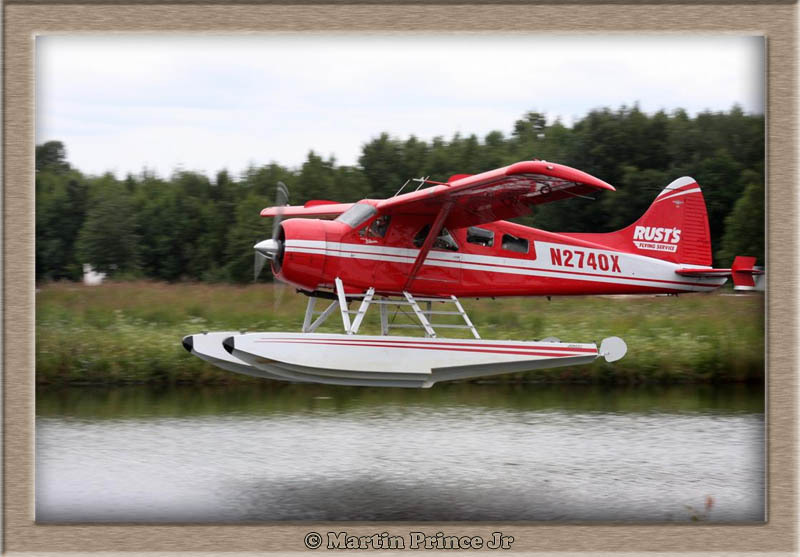 On that same foggy morning, Martin went out to make this superb shot of DHC-2 Beaver N39303 (c/n 1221). Click on the image for a large photo, which could serve as a nice decoration to someones desktop! [size 1024 x 768]. 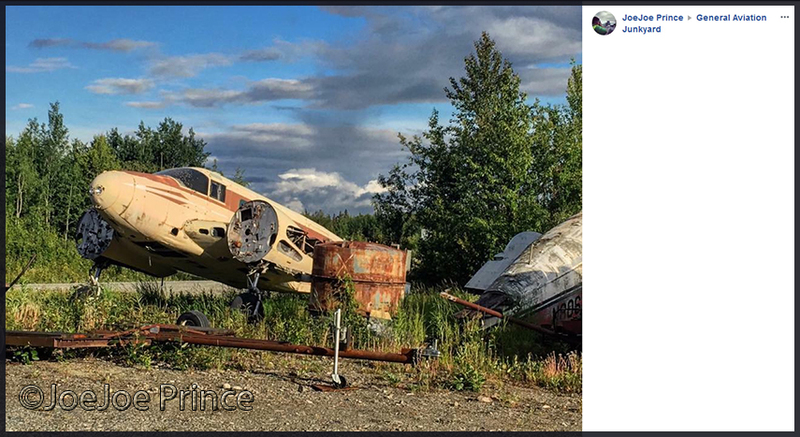 It was registered to DHC2 LLC of Chugiak,AK on 27Aug08. 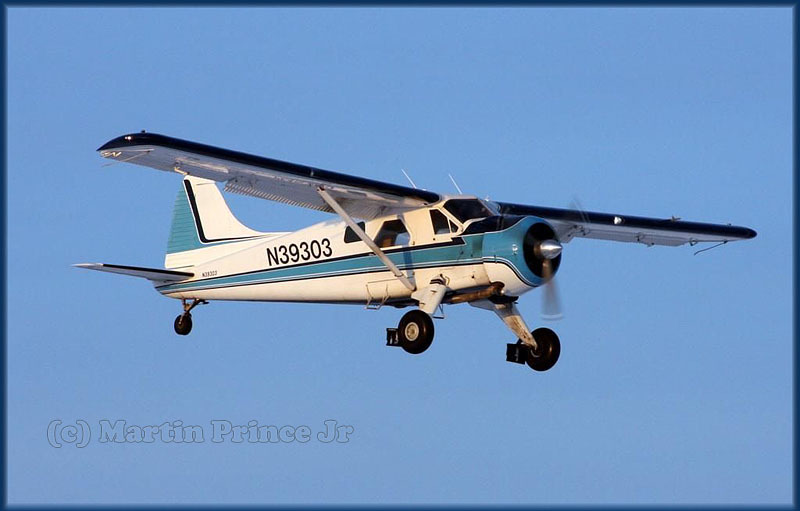 "Turbo Otter N87AW is here in Bethel to back haul mining supplies that were shipped up this spring." 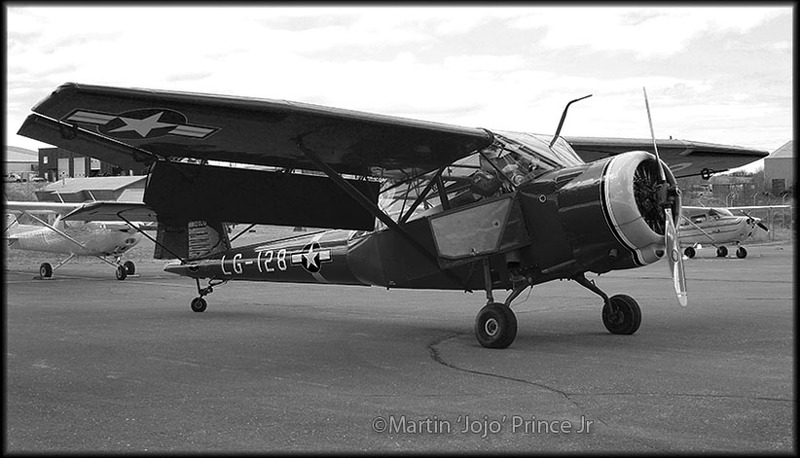 Otter 52 was delivered to the RCAF on 16th November 1954 with serial 3686. 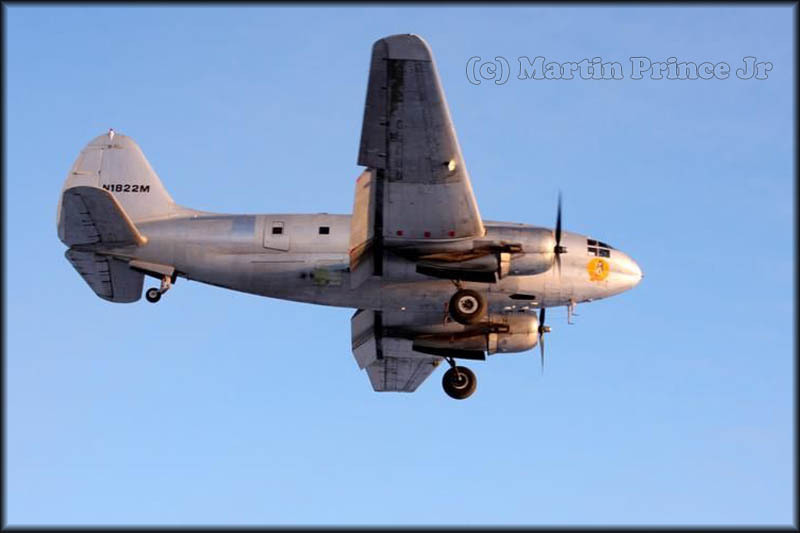 After delivery it was initially retained by No.6 Repair Depot, Trenton as a reserve aircraft and it returned to DHC at Downsview in January 1956 for incorporation of All Up Weight modifications. On completion of this work in August 1956 it was allocated to 121 Communications & Rescue Unit, and crossed the country to join the unit at its Sea Island, Vancouver, BC base. 3686 was also involved in a number of aircraft rescues, on 16Jan60 searching for a Piper PA22 missing over the Strait of Juan de Fuca; on 05Jun60 investigating the forced landing of Tri-Pacer CF-HMF at Nanaimo and a week later searching for crashed Sea Bee CF-EJN. This Otter was one of a number of aircraft in the search and rescue effort for Martin Mars CF-LYJ, which crashed near Parksville on 23rd June '61 while fighting a forest fire. On 12Jul61, during a maximum performance take-off and climb in the course of a proficiency flight, the check pilot retarded the throttle at 100 feet to simulate engine failure. At that point, the Otter was in a maximum climb attitude, with take-off flaps and an indicated airspeed of 56 knots. A steep dive was established, resulting in the airspeed rising to 62 knots. On roundout, the aircraft fell through and landed hard. The lower fuselage skin, ribs and stringers were buckled. 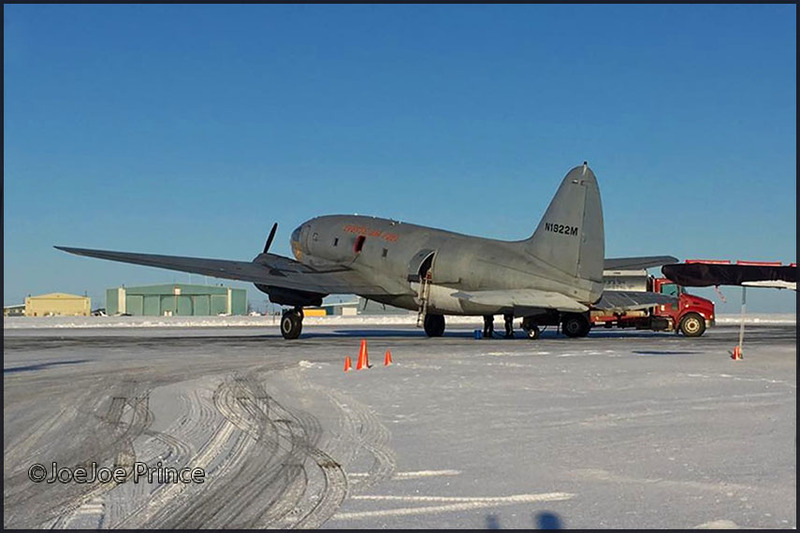 The Otter was taken to the Canadian Pacific Airlines repair depot at the Lincoln Park, Calgary RCAF base and fixed, returning to its unit at Sea Island that same month. On 20th September 1961 3686 was involved in the rescue of a vessel which broke up at sea, as were Canso 11015, Dakota 485 and Albatross 9306. On 13Feb62 the Otter flew to Hanson's Lagoon to pick up an injured hiker, but became grounded on a sandbar by a receding tide... It was refloated the next day and returned to base. On 21Feb62 it transported a mine disposal team to deal with a mine and on 24Jun62 was engaged in the search for Cessna 180 CF-FWF of Trans Provincial Airlines, which had crashed near Terrace. The Otter continued to fly with 121 Communications & Rescue Unit until Oct62 when Otter operations by the Unit came to an end. 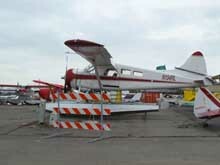 It returned to the Canadian Pacific Airlines depot at Calgary, as did the other Unit's other Otter 3680, and was placed into storage as a reserve aircraft. The amphibious floats which 3686 had used were removed and transported back to Sea Island for use by the Otters of 443 Squadron. In Feb64 the Otter was ferried from Calgary to Saskatoon and put into storage there, pending disposal. 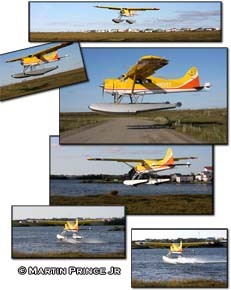 The Otter was transferred to the RCMP, to whom it was registered as CF-MPO in October 1964. At that stage, it had 1,691 hours on the airframe. For the first ten years of its police service it was based at The Pas, Manitoba. On 30Oct72 it suffered an accident at Kawinaw Lake,Manitoba, summarised as: “Engine failure; fatigue fracture; substantial damage”. It was repaired and then based at Thompson, Manitoba from 1974 to 1976, and then at Ottawa from 1976 to 1978. 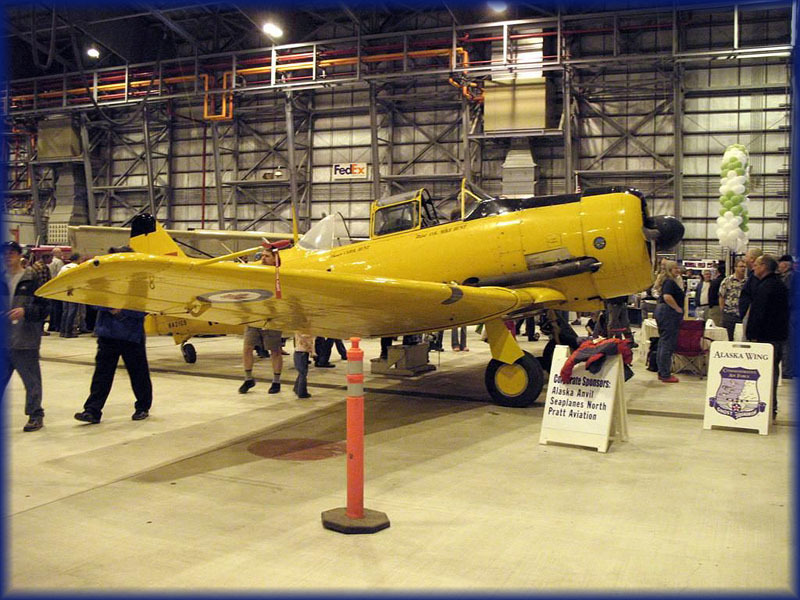 It arrived at its new base at the RCMP's hangar at the Edmonton Municipal Airport, Alberta in 1978 where it would be based for the next 14 years, although it was deployed to Inuvik from time to time. 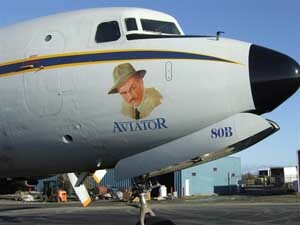 While based at Edmonton as C-FMPO the Otter suffered a number of minor incidents. On 15Mar85 at St.Paul, Alberta while taxying after landing the tail wheel assembly failed. On 24Apr85 at High Prairie,Alberta the propeller tip touched the runway on take-off. At Edmonton Municipal Airport, its base, on 13Nov87 the pilot lost control on take-off from runway 16 and the Otter skidded across the grass onto the apron. Finally, on 13Feb90 at Steen Tower airstrip, Alberta during a touch-and-go on a snow-covered runway, the engine hesitated and during the initial climb the Otter struck some trees. Damage was not great and the Otter was repaired and continued in service until September 1992. After nearly 30 (!) 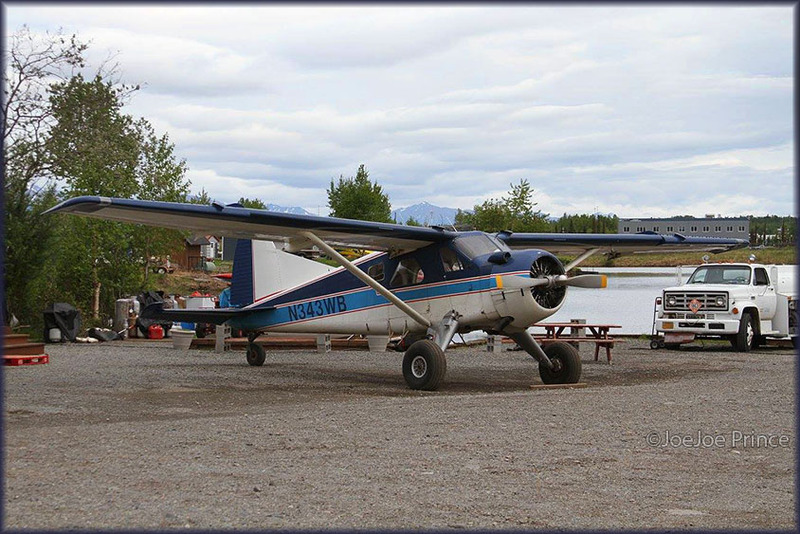 years of service with the RCMP, the last Otter in police service in Canada, MPO was flown from Edmonton to Yellowknife,NWT where it arrived on 1st Oct92, on delivery to 825 Elks Air Cadet Squadron, by which stage it had some 18,000 hours on the airframe. The Otter was acquired to provide enhanced training to the cadets and for use by Yellowknife schools and community organisations. According to a local report at the time: “When the Otter is finally retired, it will be donated along with its logs to the Northern Heritage Centre in Yellowknife, where it will be permanently displayed”. 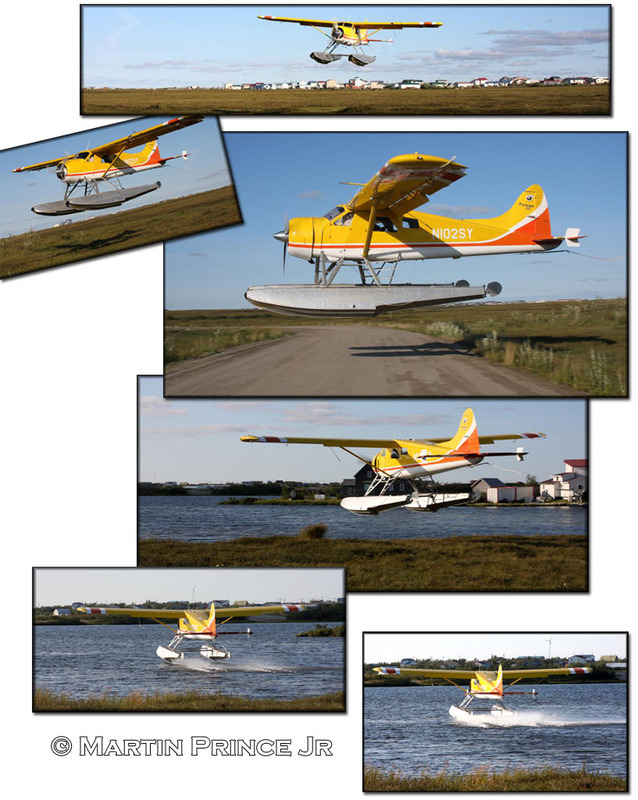 This proposal somewhat overlooked the value of an aircraft such as the Otter, and having sat at Yellowknife for three years, during which time it was little used, C-FMPO was sold. 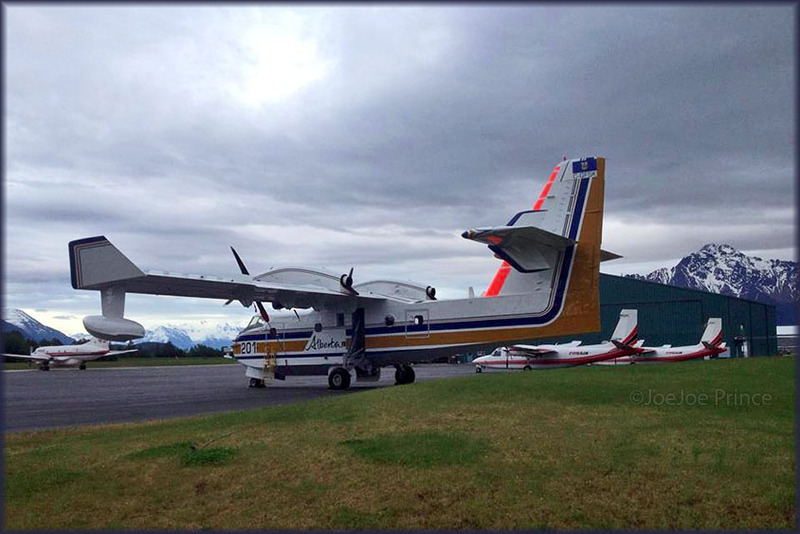 It was registered to its new owners, Alaska West Air Service Inc of Kenai, Alaska in Jan96 as N87AW. They purchased it from Direct North Airways, Yellowknife, who had somehow managed to acquire title to the aircraft. With Alaska West Air Service it replaced Otter N8510T (307) which they had flown up to then. 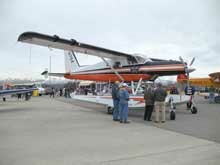 The Otter was flown from Yellowknife to Vancouver, arriving 16Jan96, where it was converted to a Vazar DHC-3T turbine Otter by Aeroflite Industries. 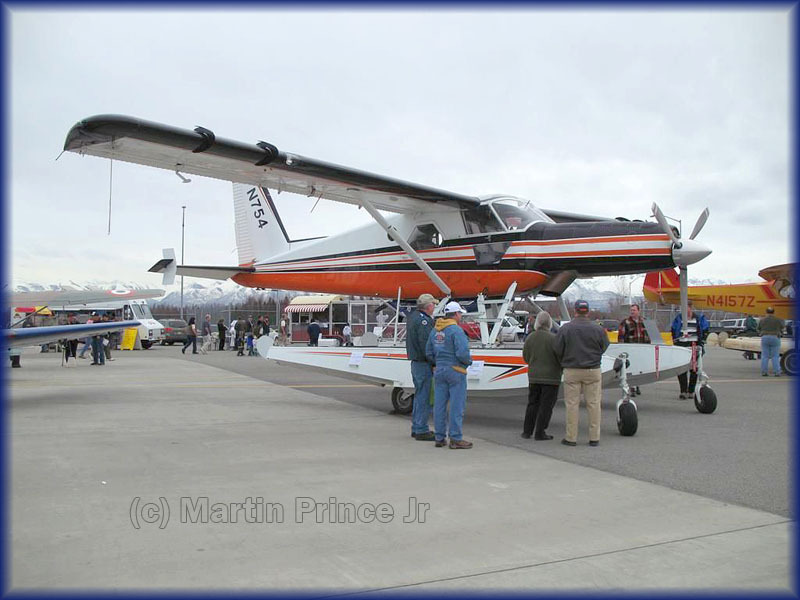 It was rolled out of their hangar as a turbine on 05Mar96 and delivered to its new base at Kenai - Island Lake from where it operates on floats. 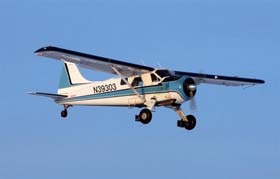 Alaska West Air Service is the aircraft operating part of Alaska West Guides & Outfitters and as well as the turbo Otter flies two Beavers, a turbo Beaver and two Piper Super Cubs. 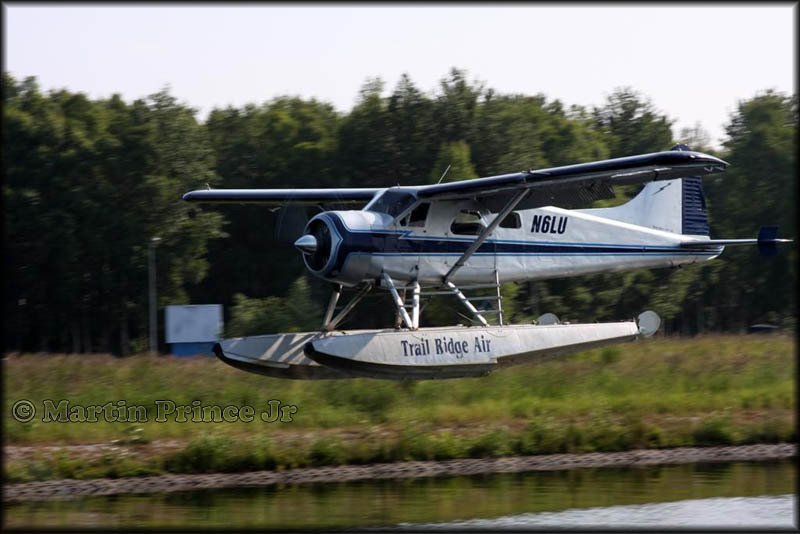 The aircraft are used on a variety of fly-out fishing and bear viewing packages as well as flightseeing trips over the Kenai Peninsula and Lake Clark National Park. The Otter is used for the larger groups as it seats ten passengers. The company is active during the summer months only, with N87AW going into storage during the winter. 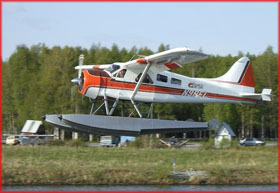 On 04Nov04 the Otter was registered to Summit Leasing LLC, Kenai, Alaska but leased to and operated by Alaska West Air Service, as before. Martin sent me this photo of Douglas DC-6A N6174C (c/n 44075), taken on 10Oct07. 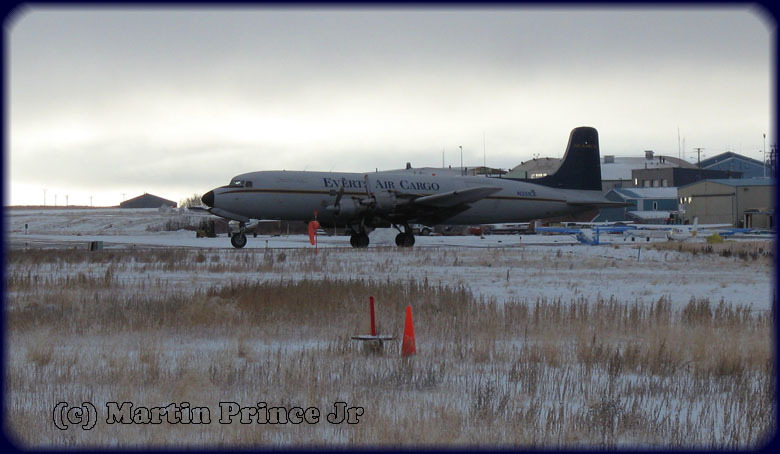 "NAC came out this morning with a DC-6, pretty rare thing nowadays. I got N6174C while on short approach to Runway 18 of Bethel this morning. 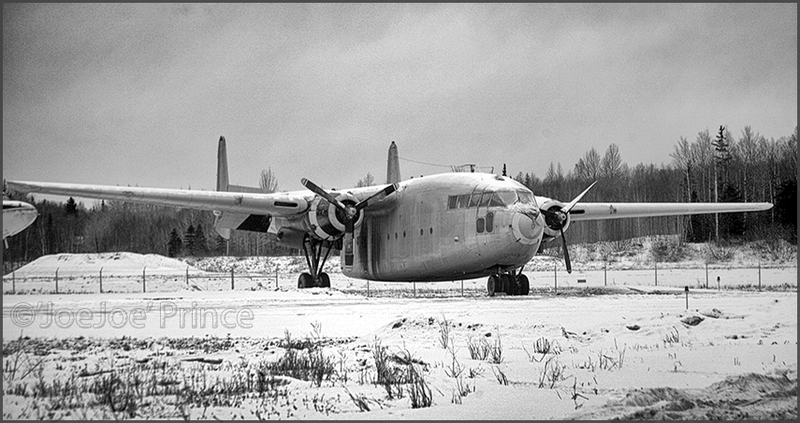 This is a 1954 DC-6, on a foggy 35 degree morning." 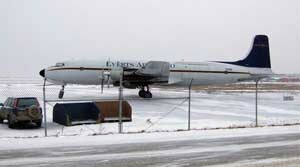 I have written an extensive history on my page Propliners at Anchorage, 2006. 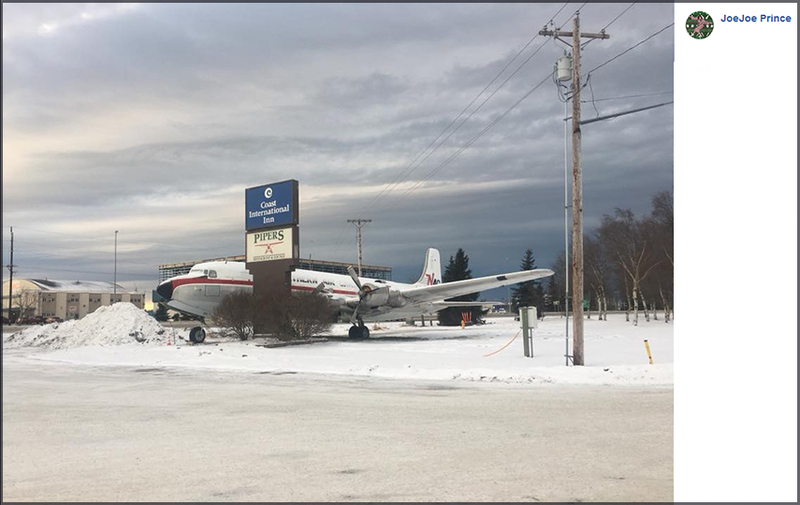 The DC-6 has been the backbone of the NAC fleet for 39 years and has played a significant role in the development of rural Alaska. NAC added its first DC-6 in 1969 and ended up acquiring 15 Sixes over a period of 25 years. 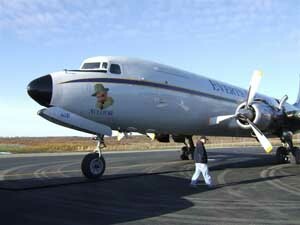 One DC-6 will be donated to the Alaska Heritage Museum. Martin's photos of Bethel,Alaska: www.bethelak.com/photos look for joejoe prince or jojo.